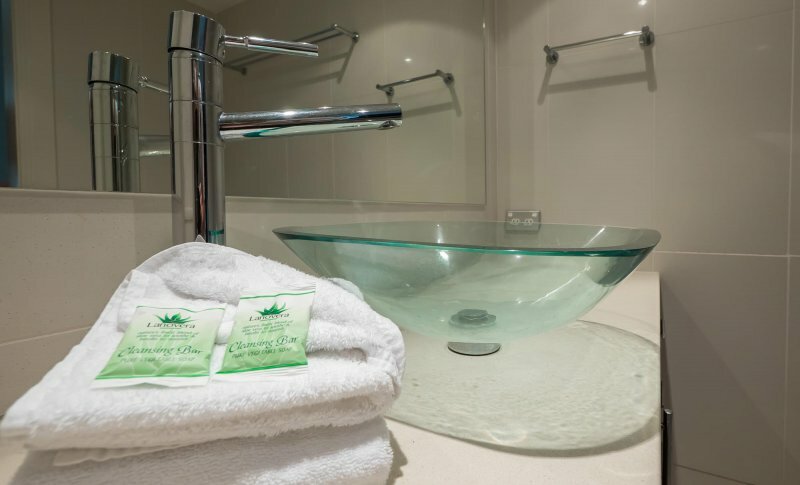 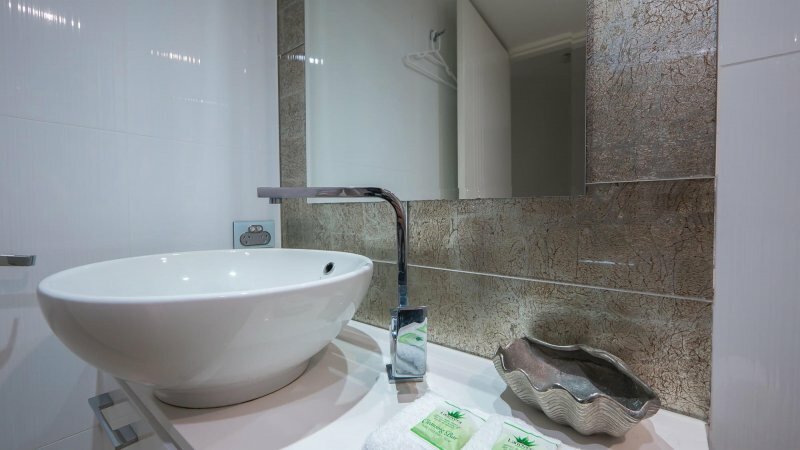 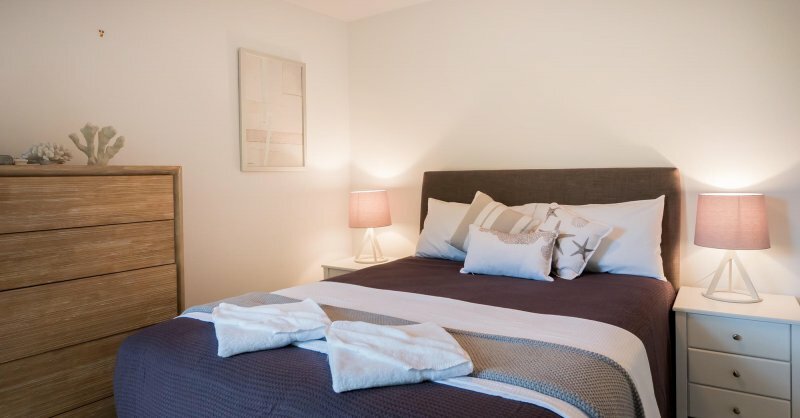 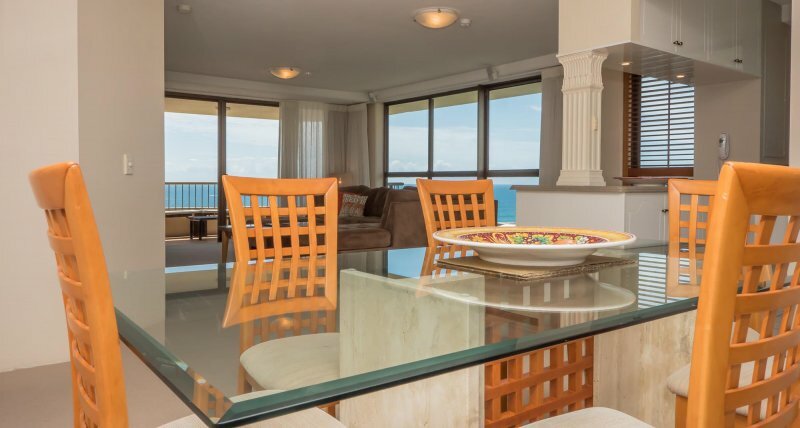 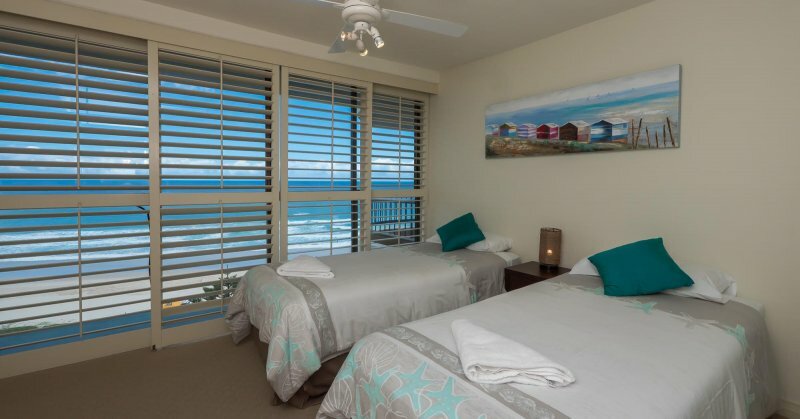 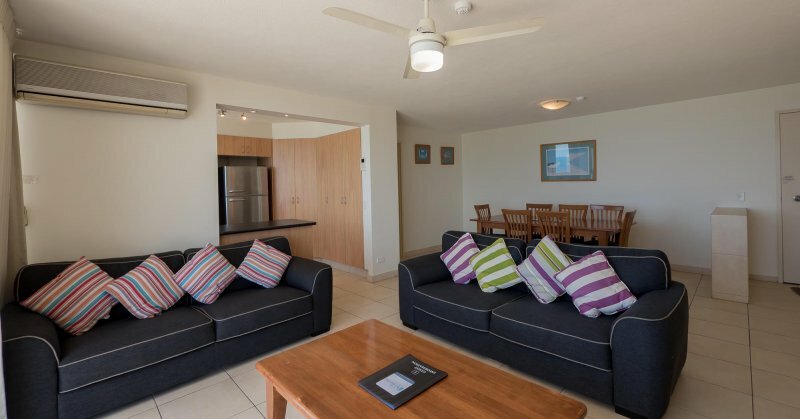 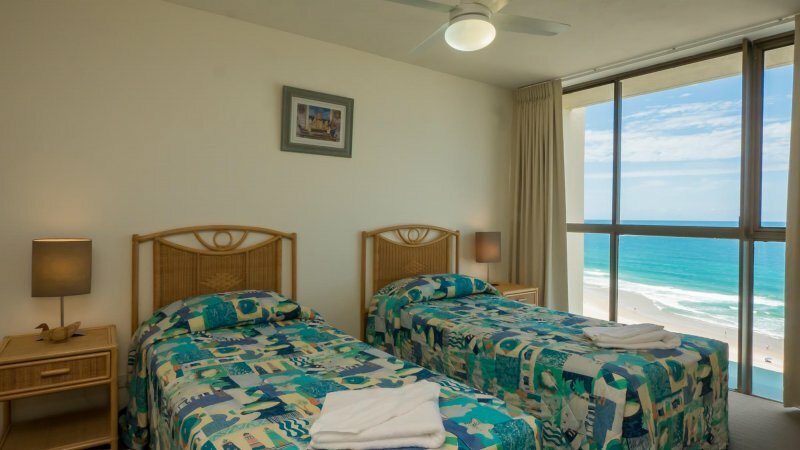 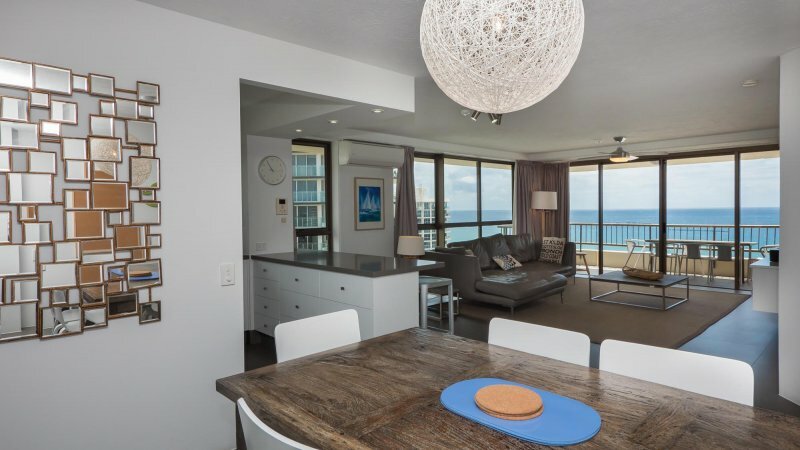 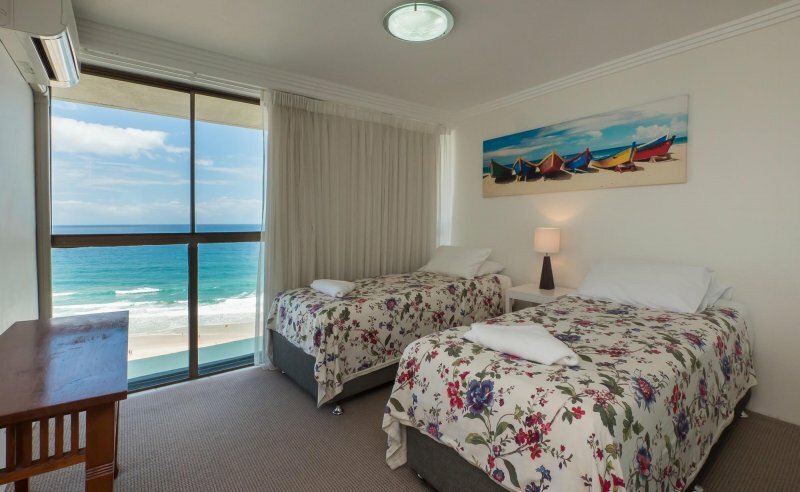 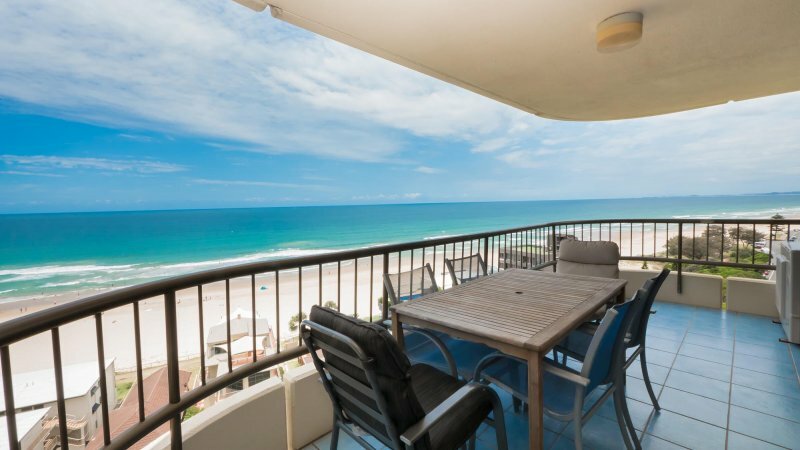 Our bright and modern apartments offer luxurious space and comfort in an unforgettable beachfront location. 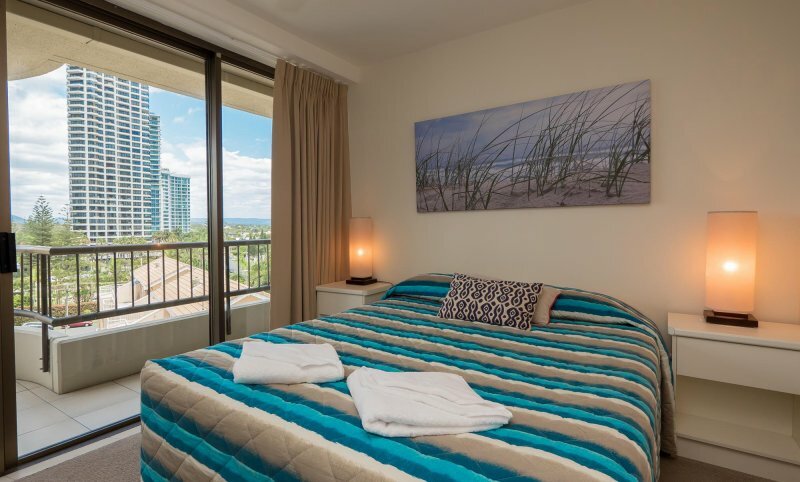 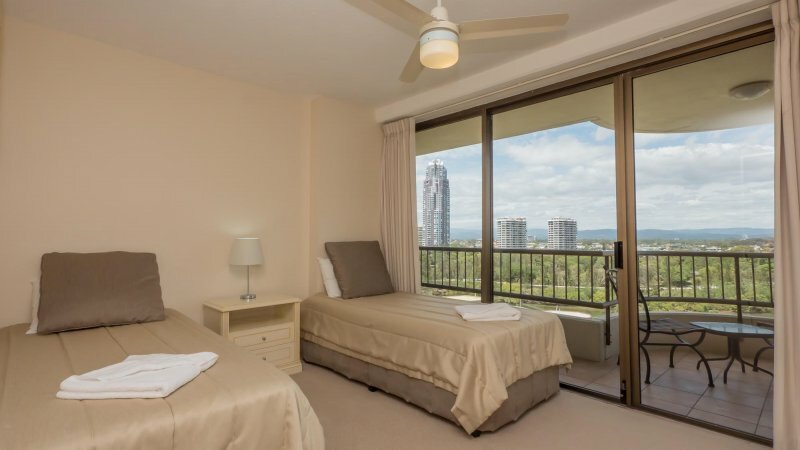 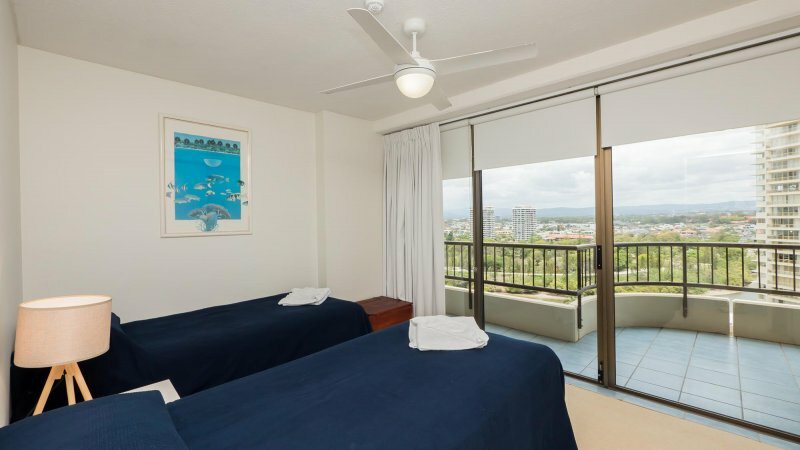 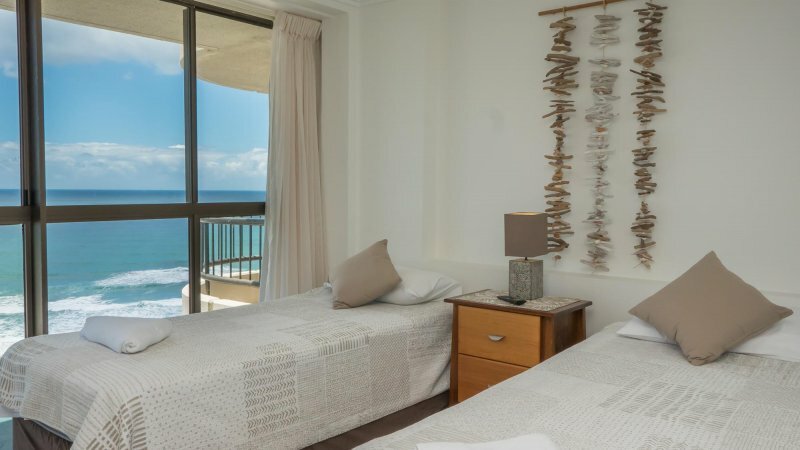 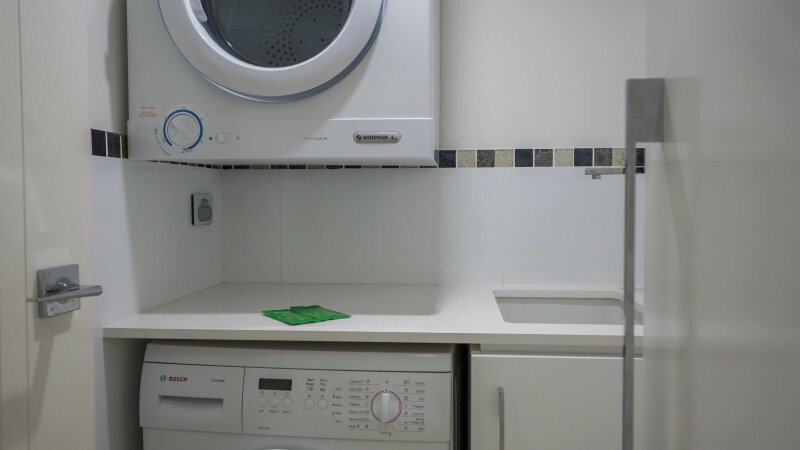 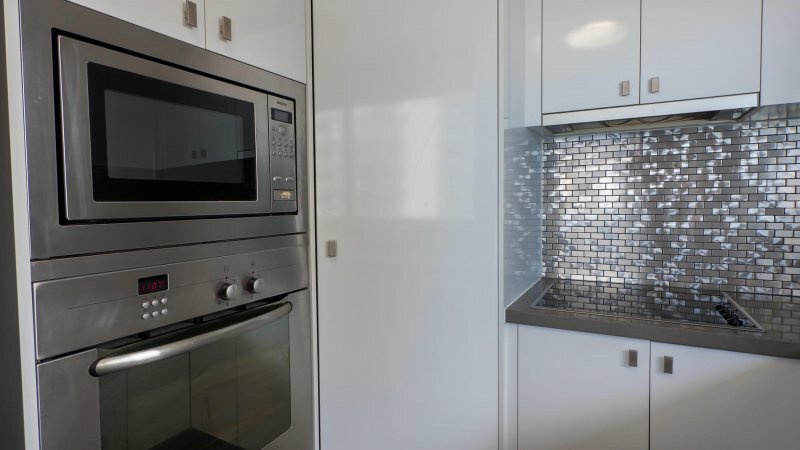 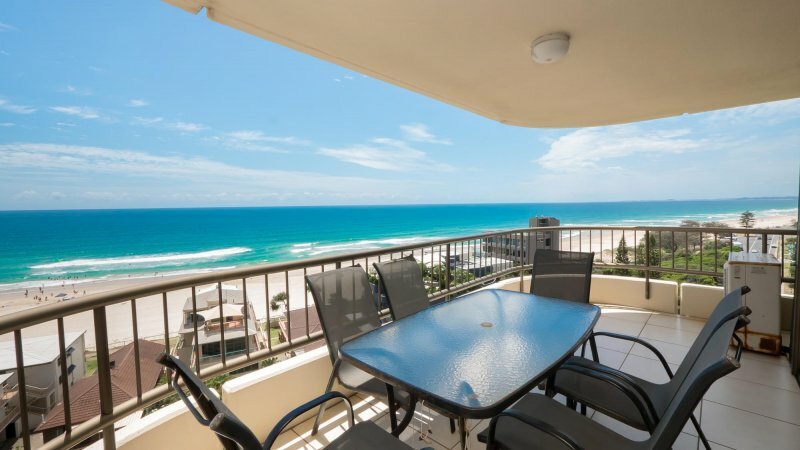 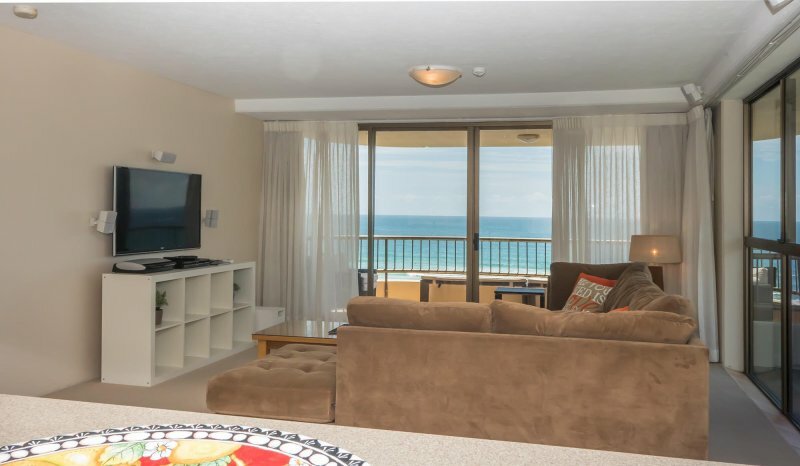 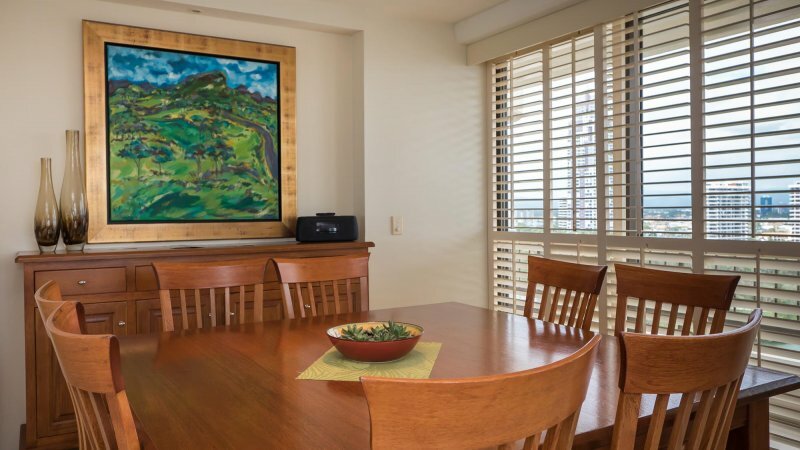 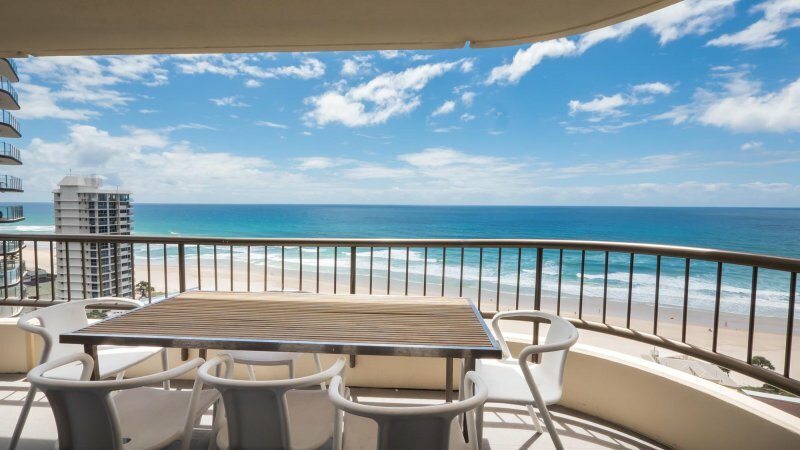 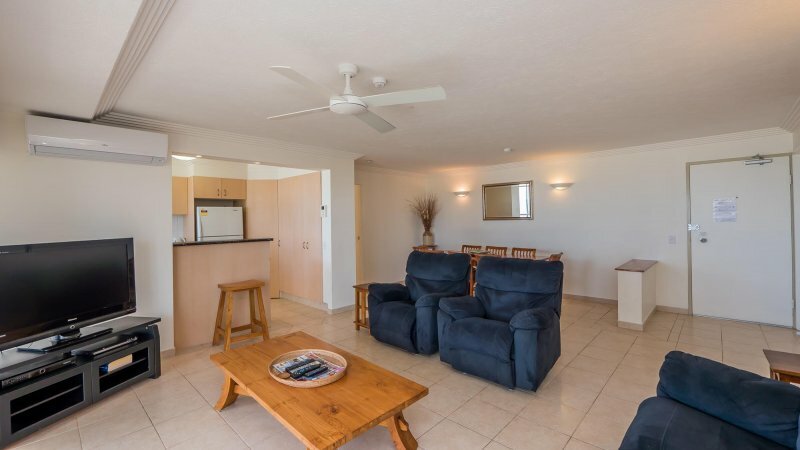 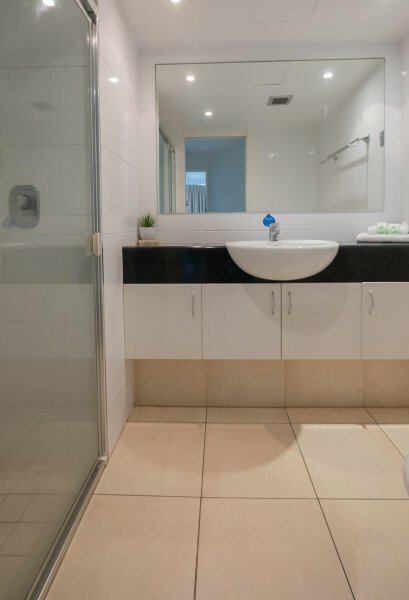 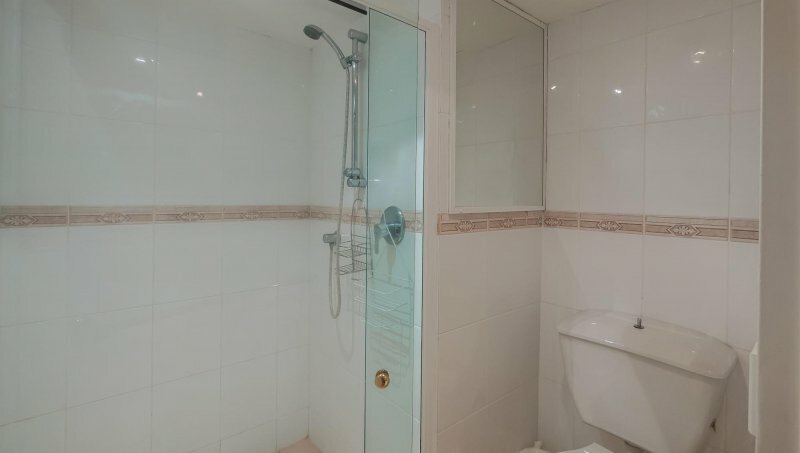 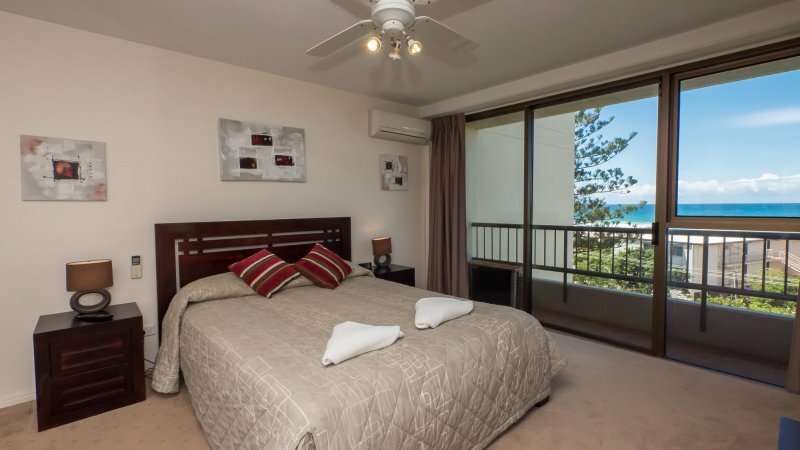 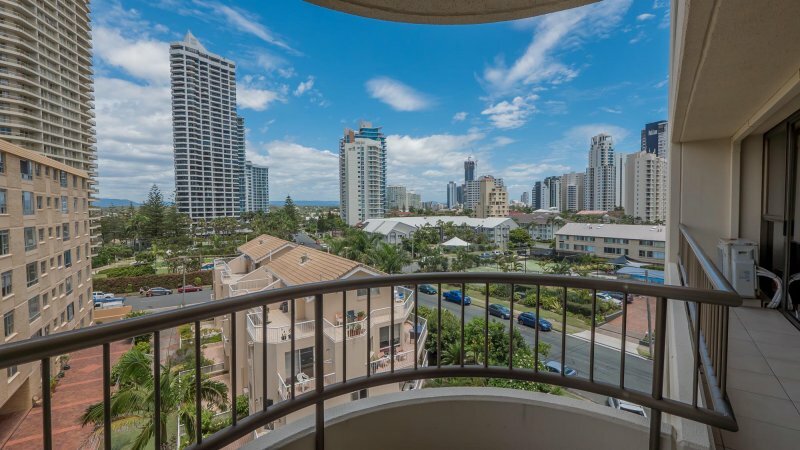 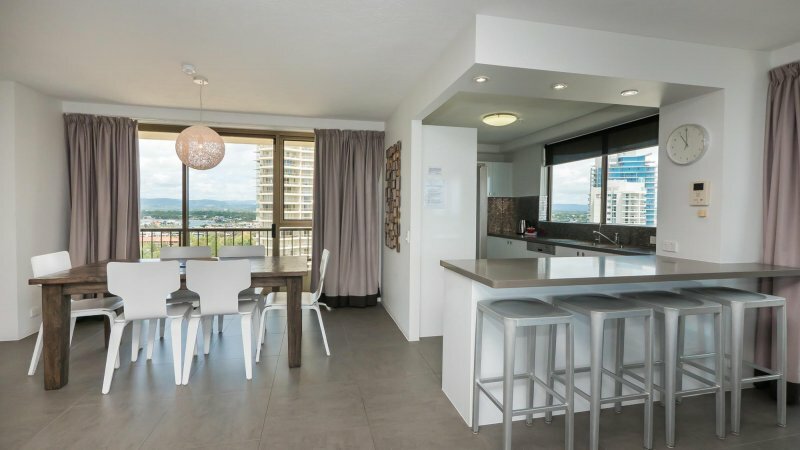 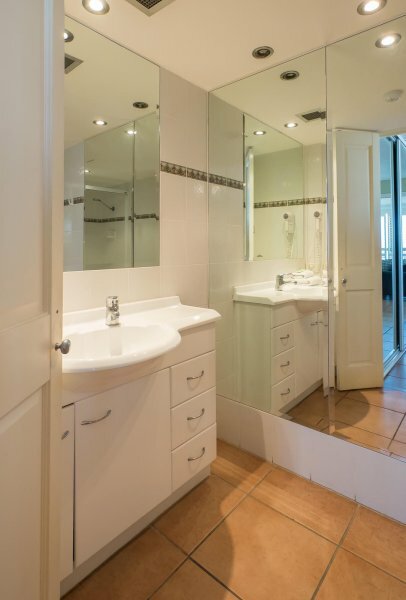 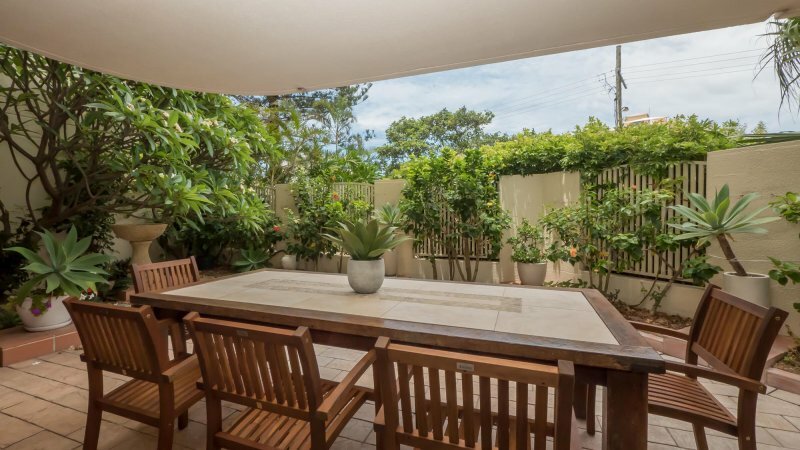 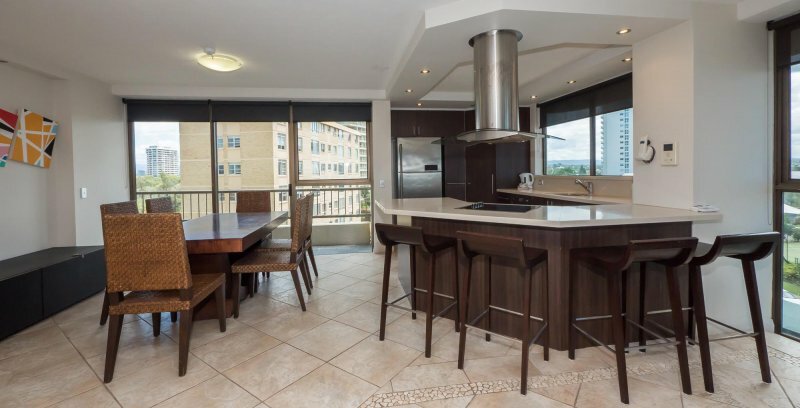 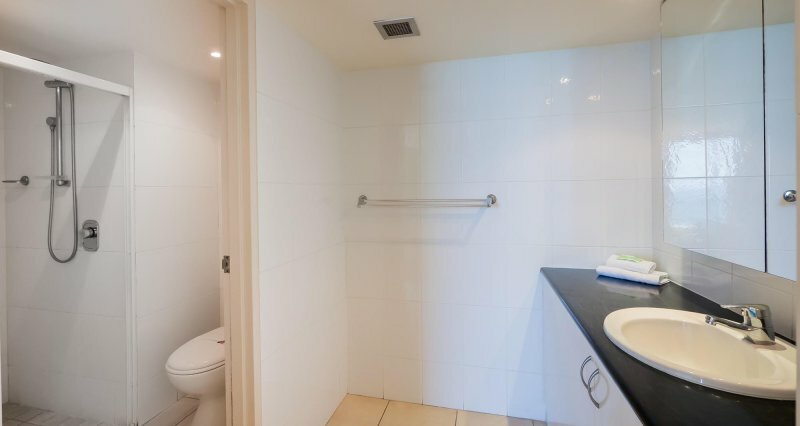 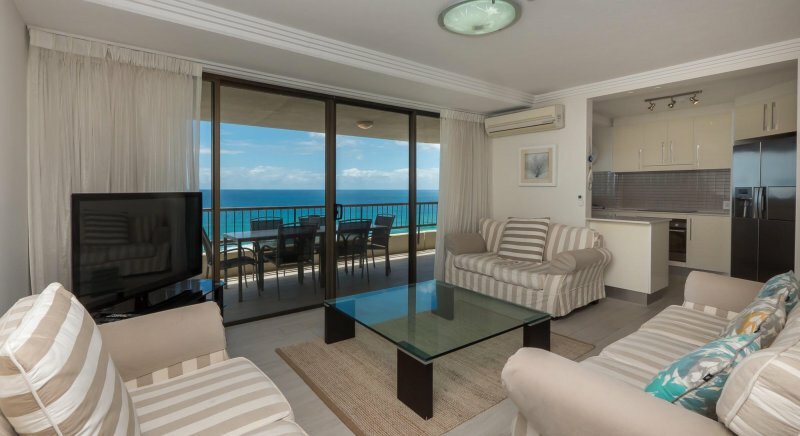 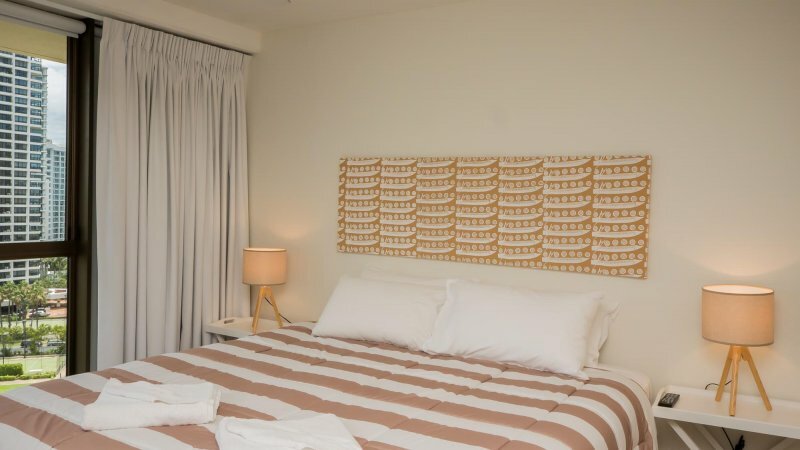 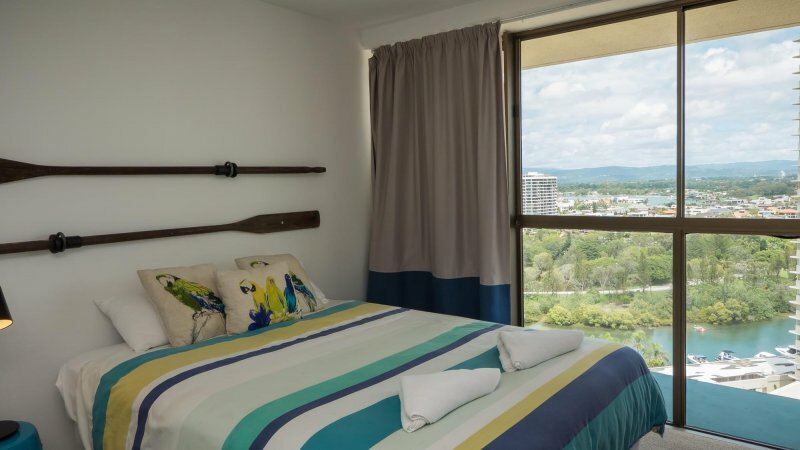 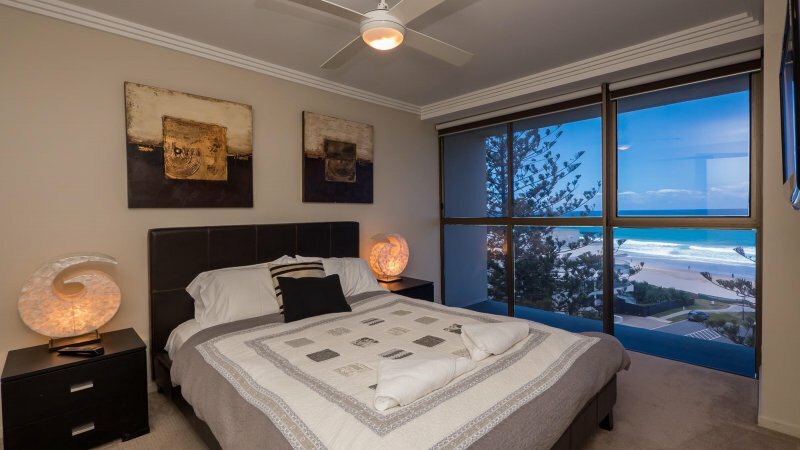 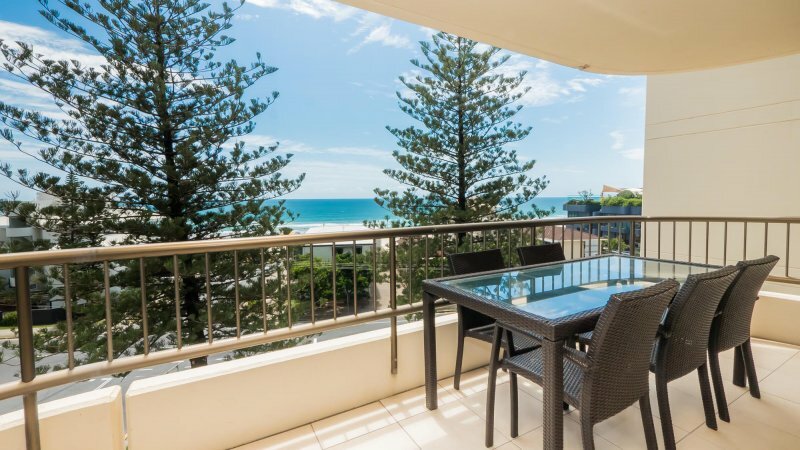 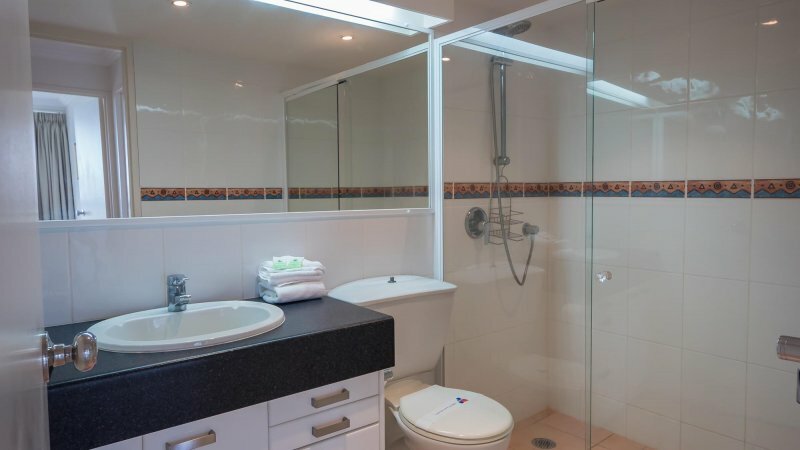 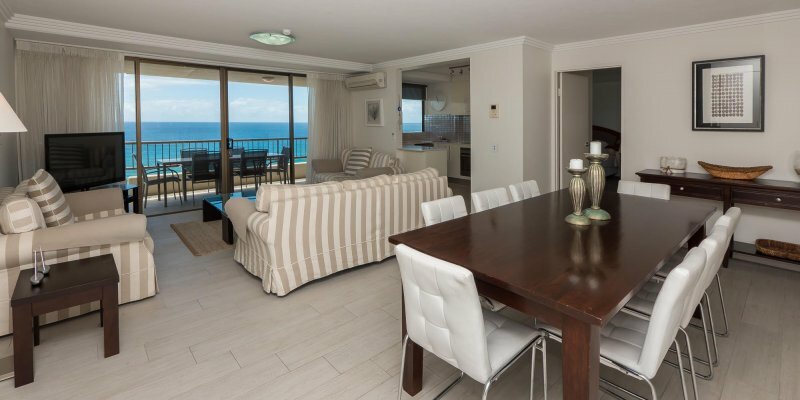 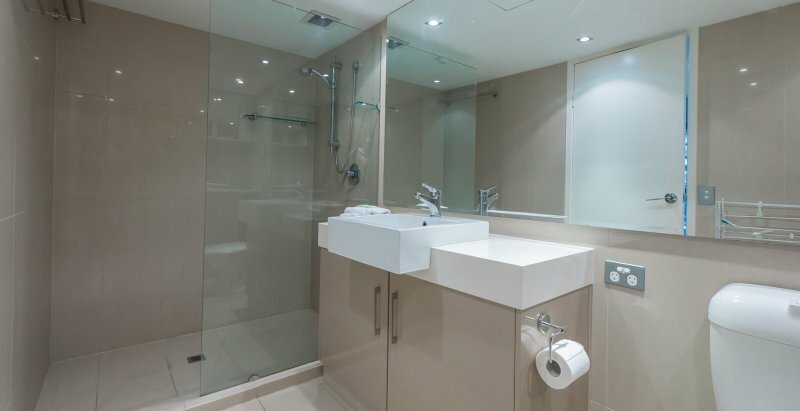 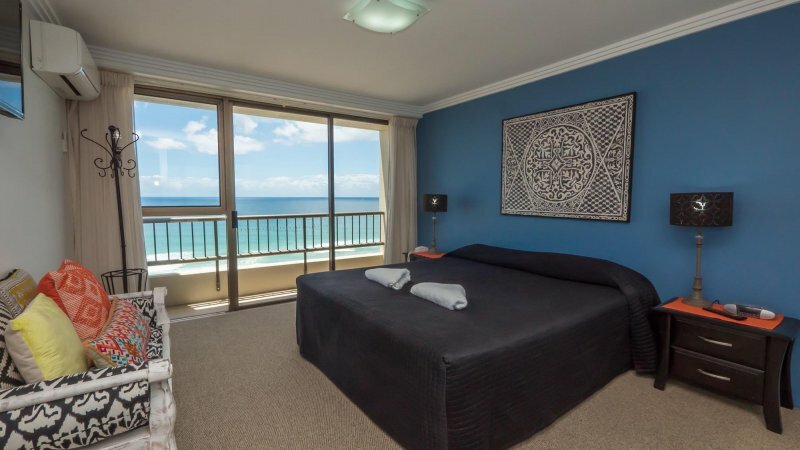 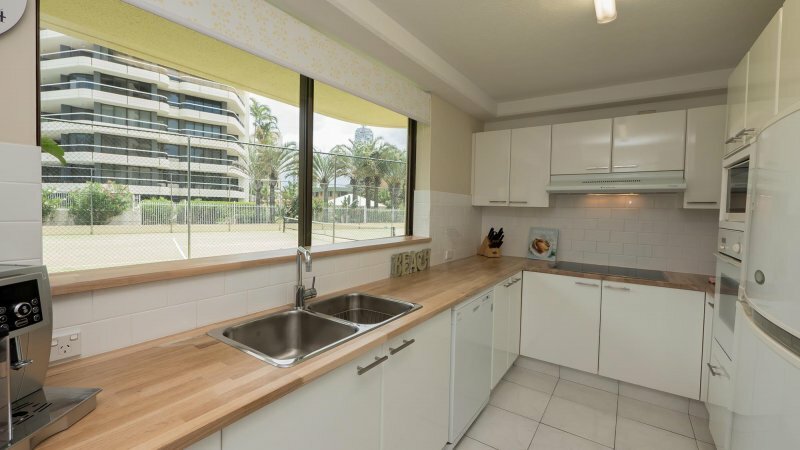 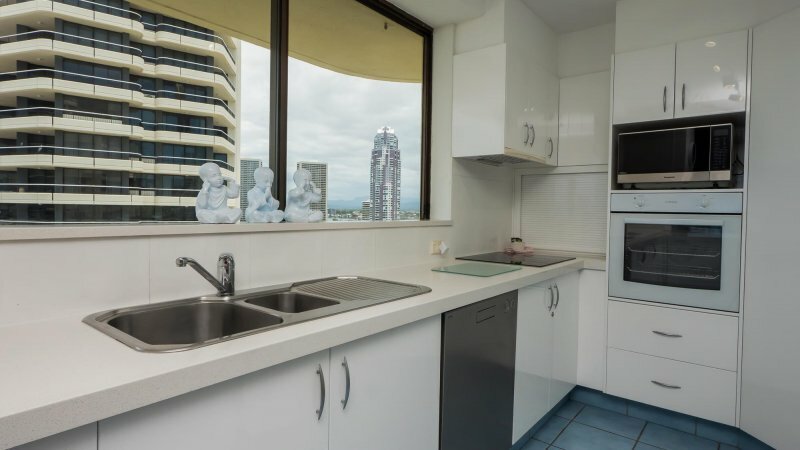 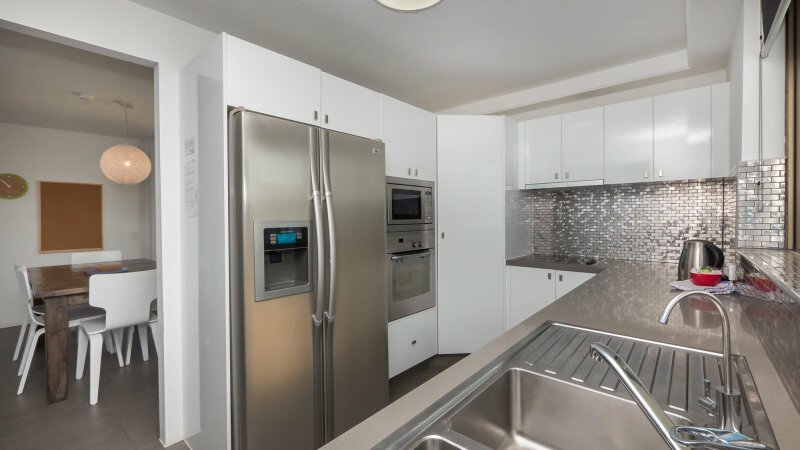 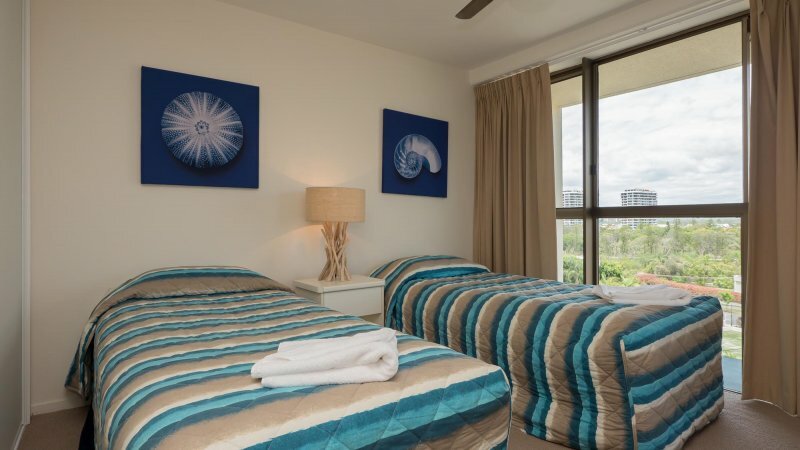 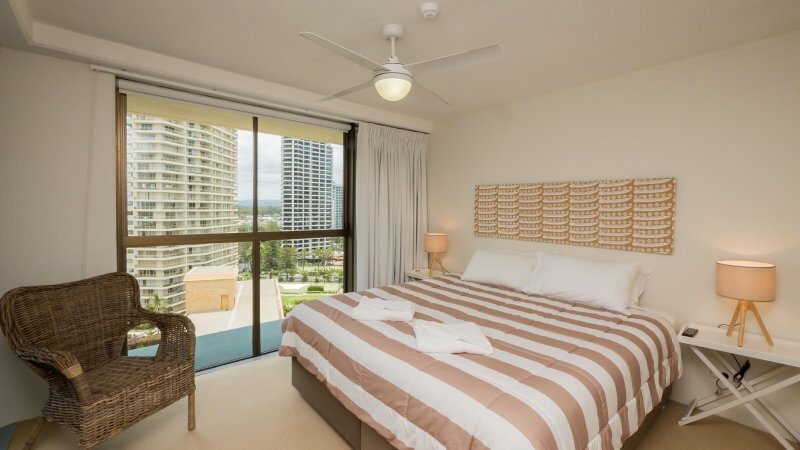 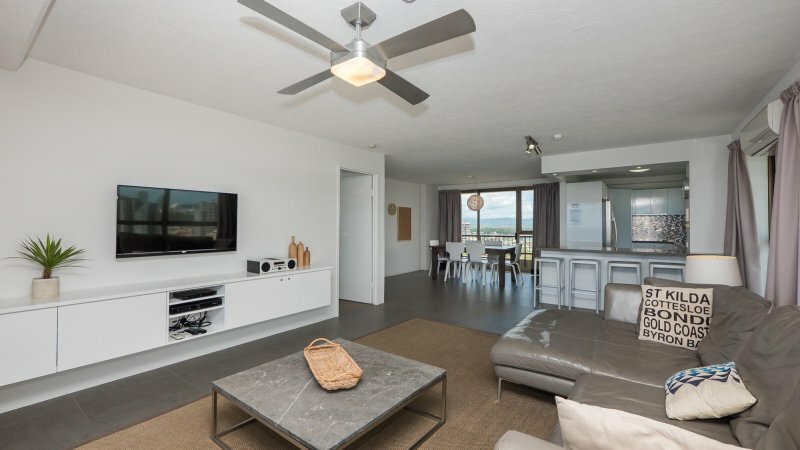 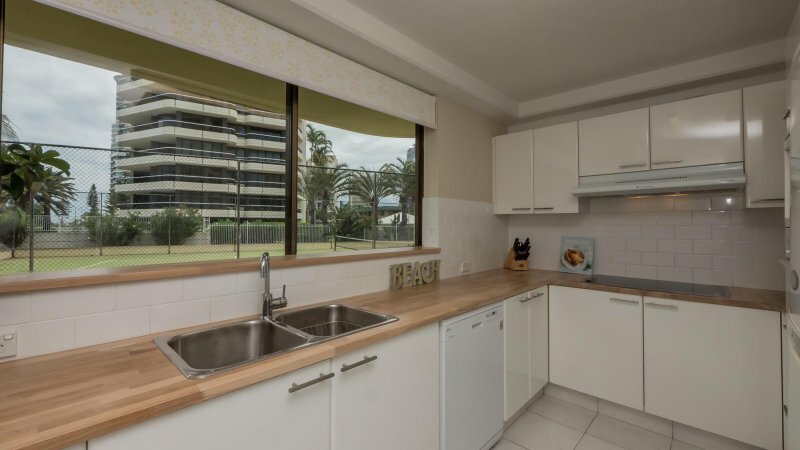 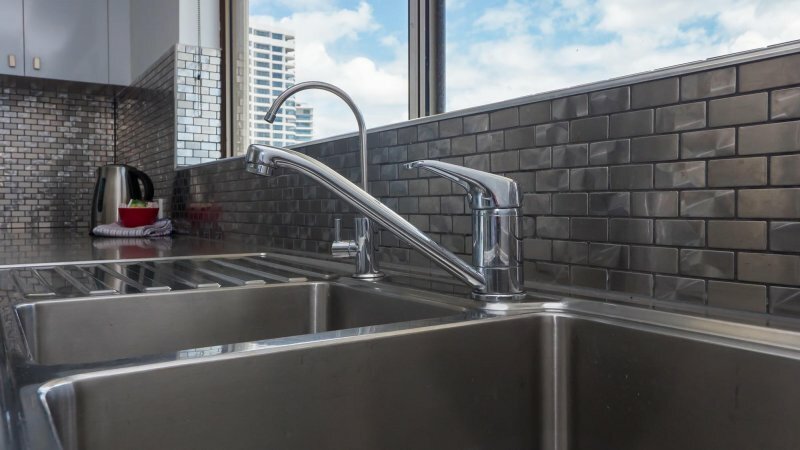 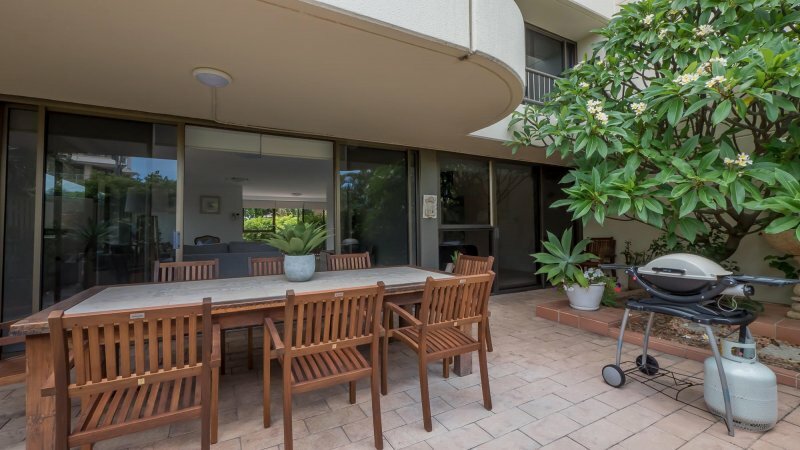 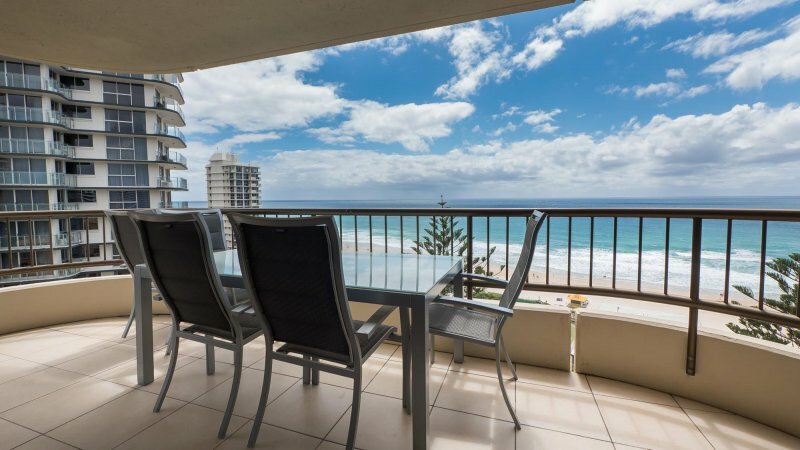 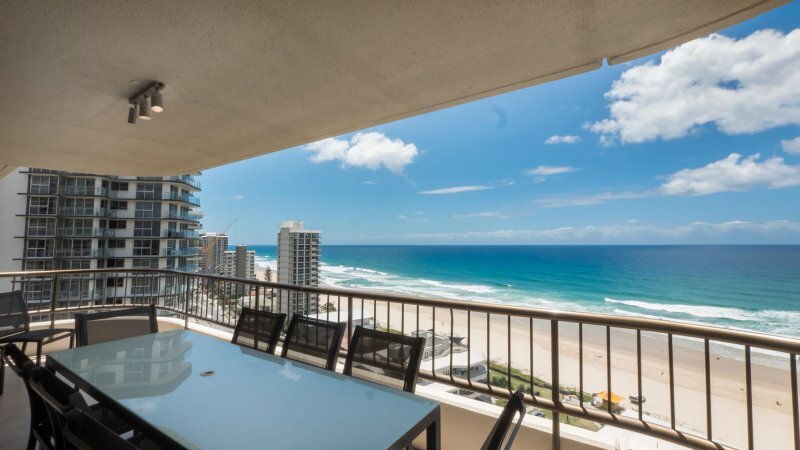 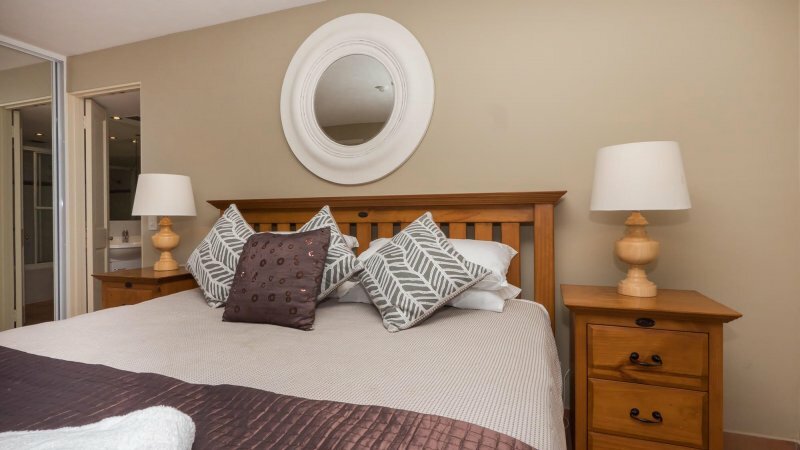 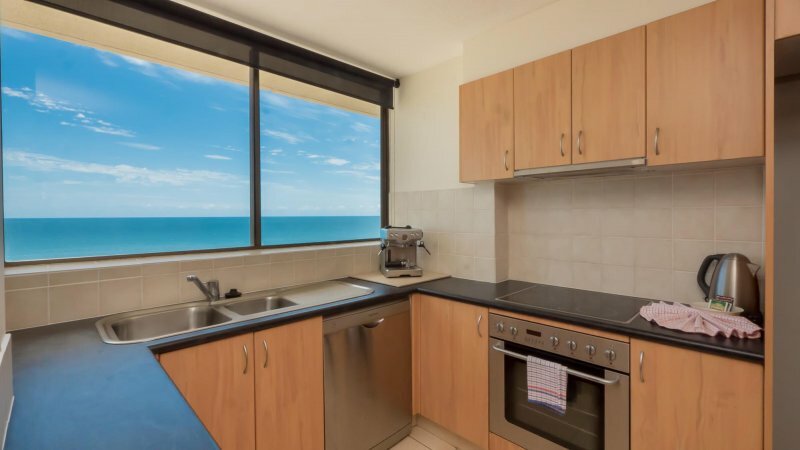 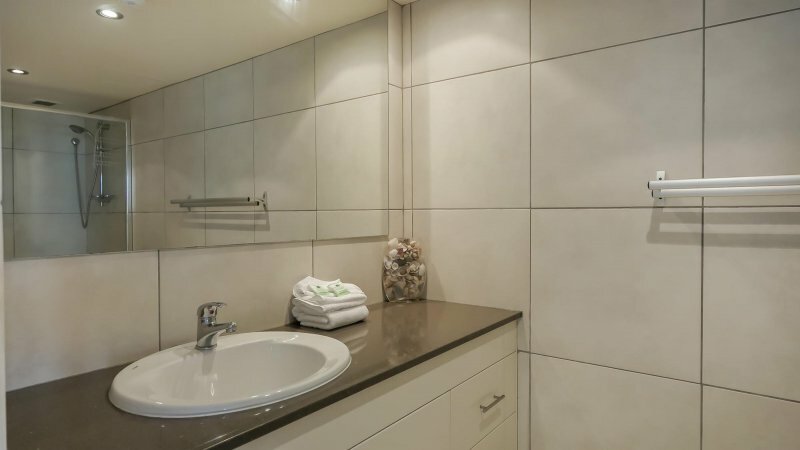 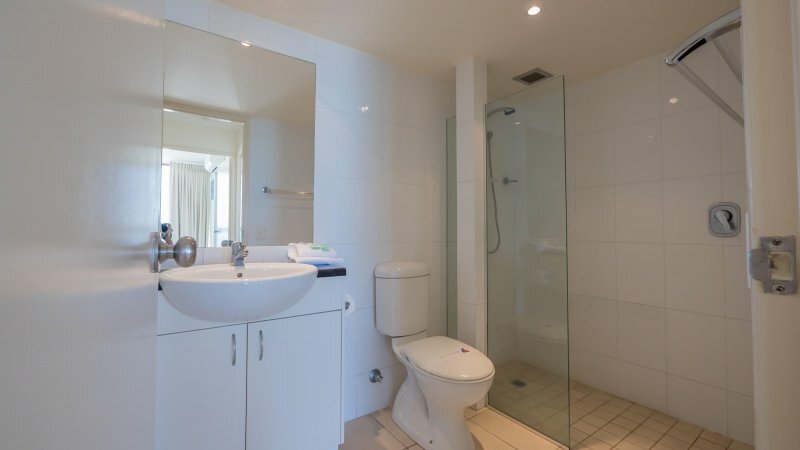 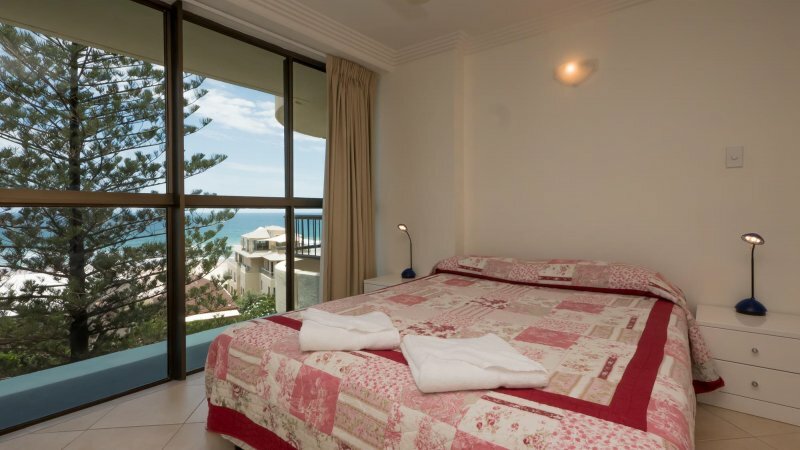 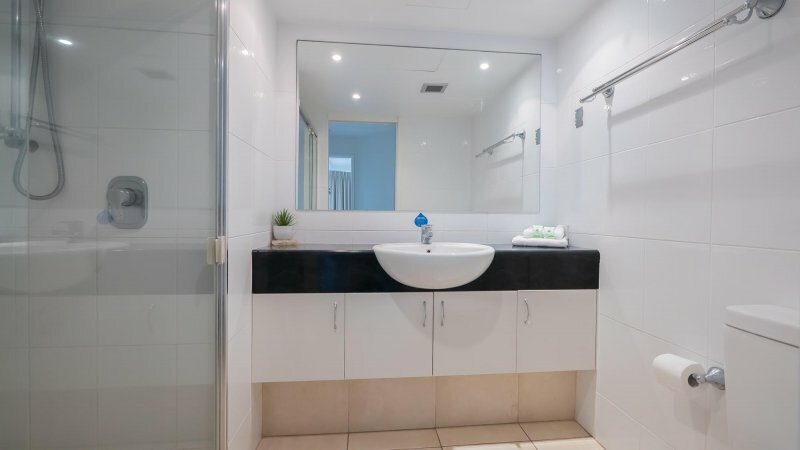 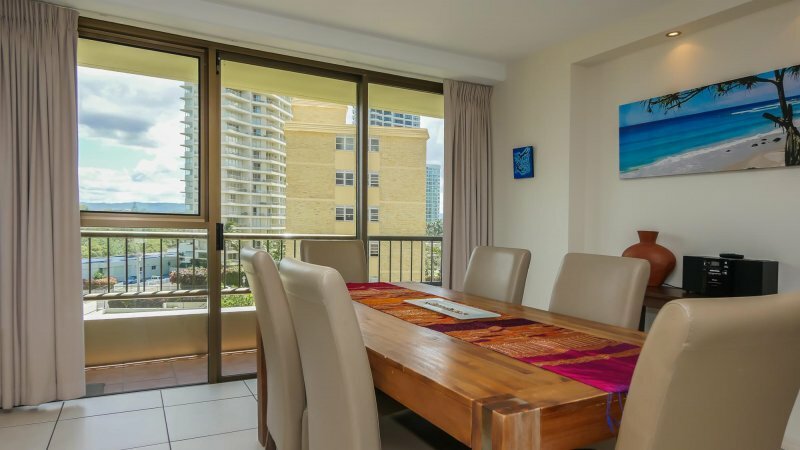 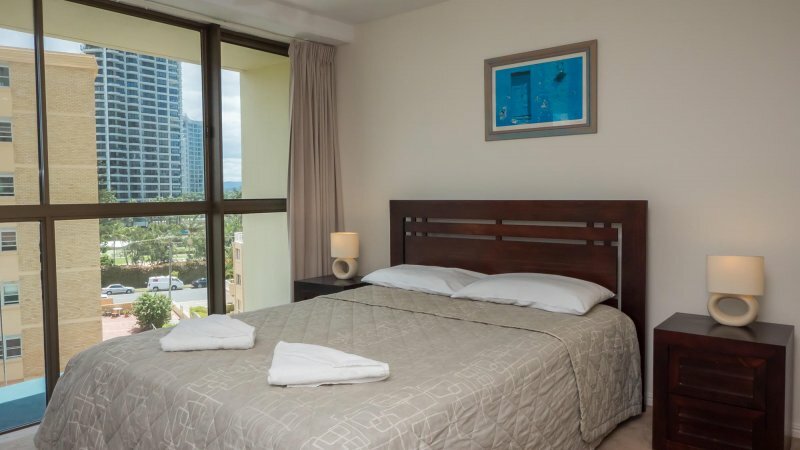 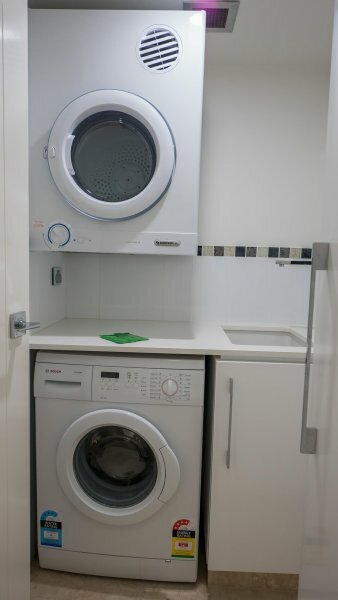 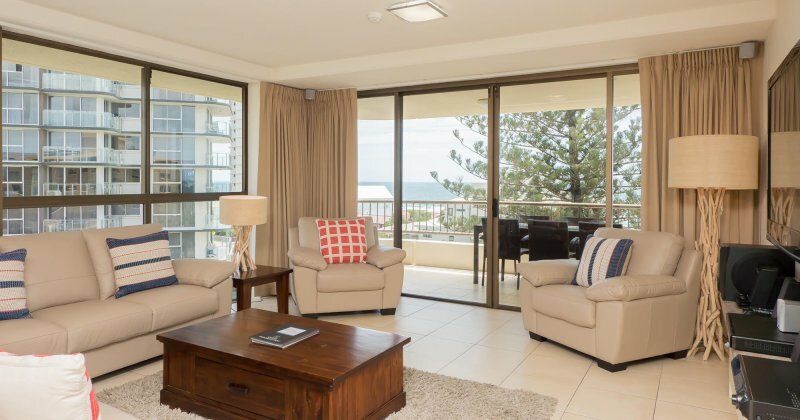 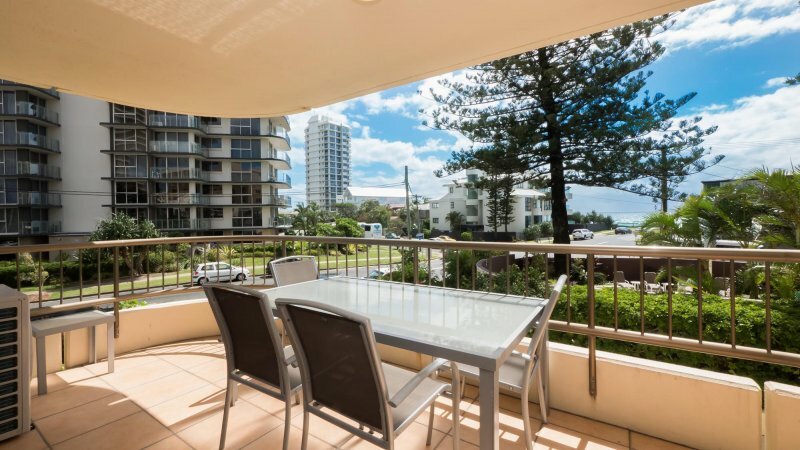 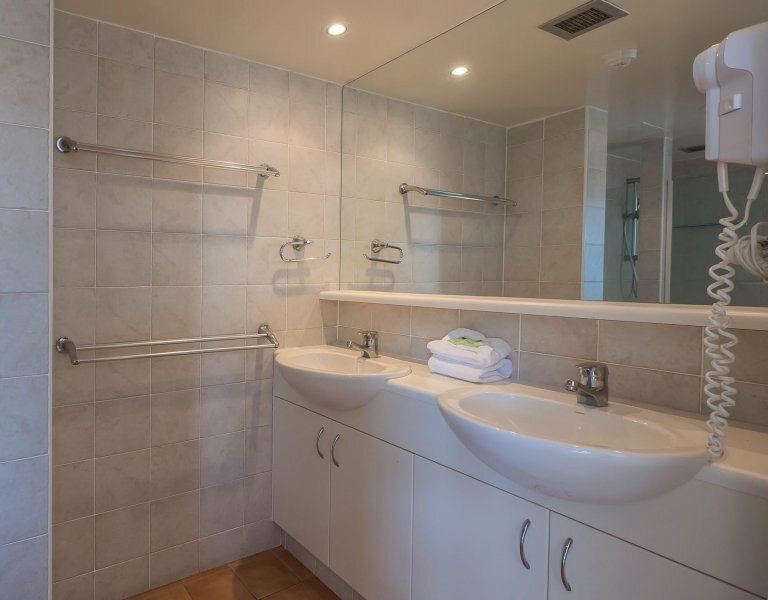 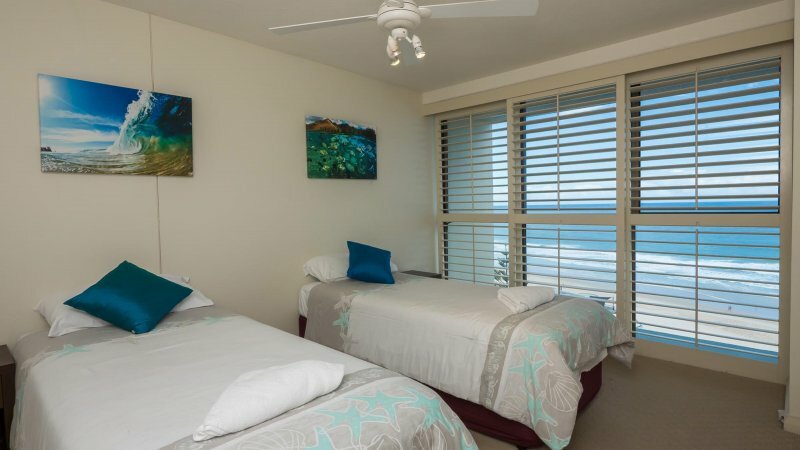 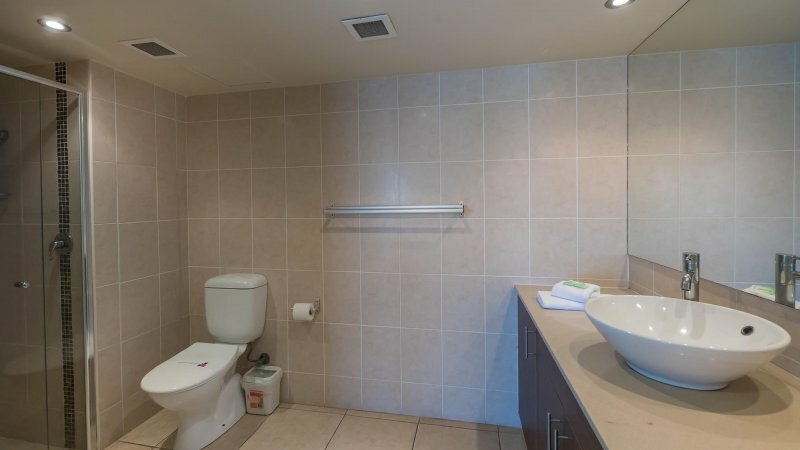 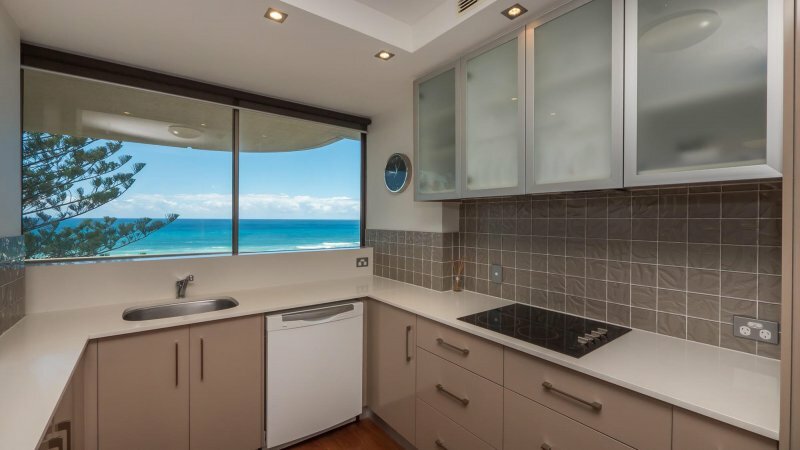 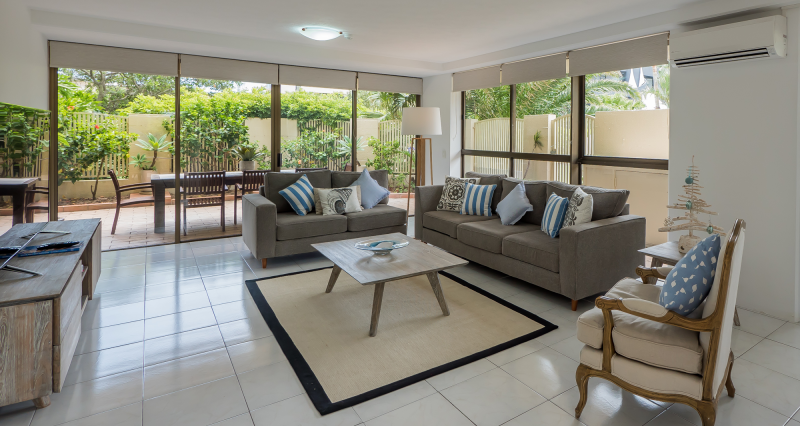 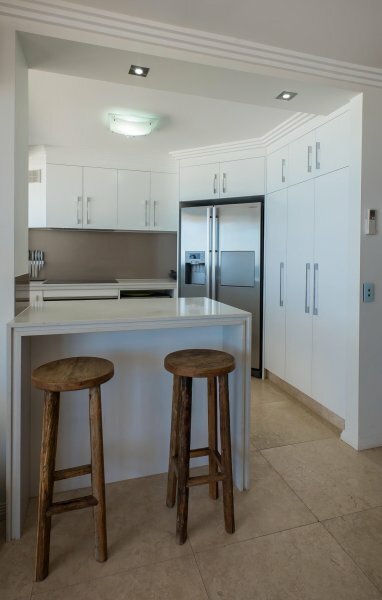 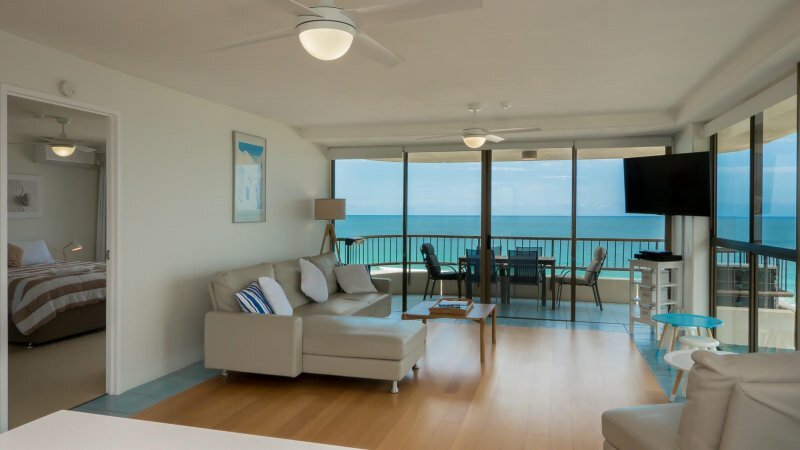 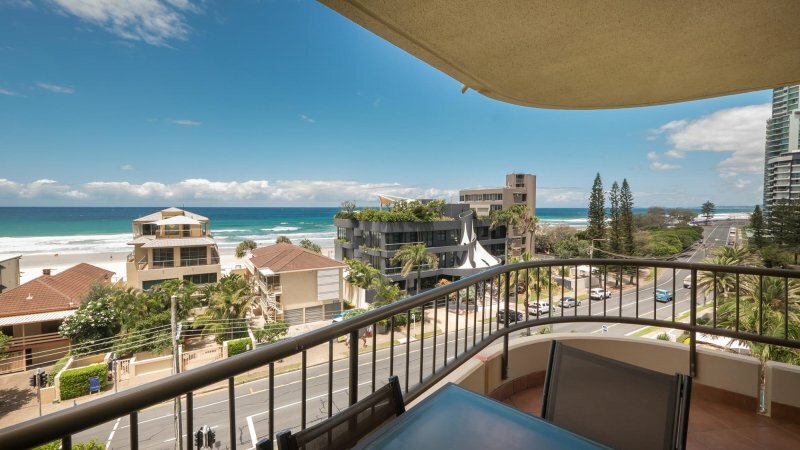 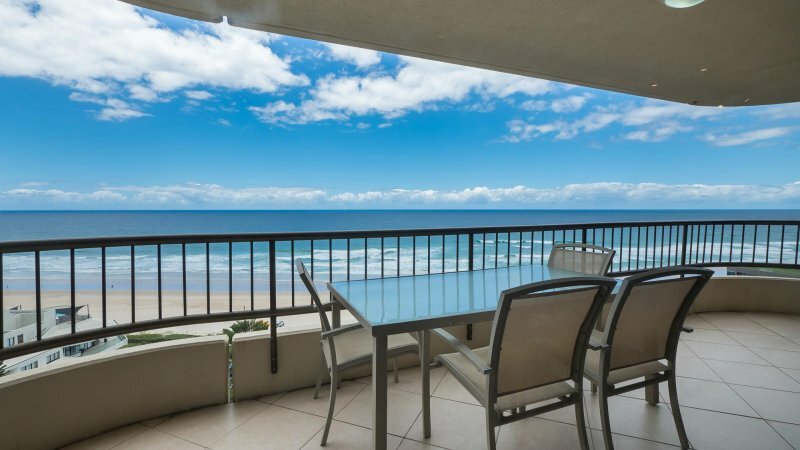 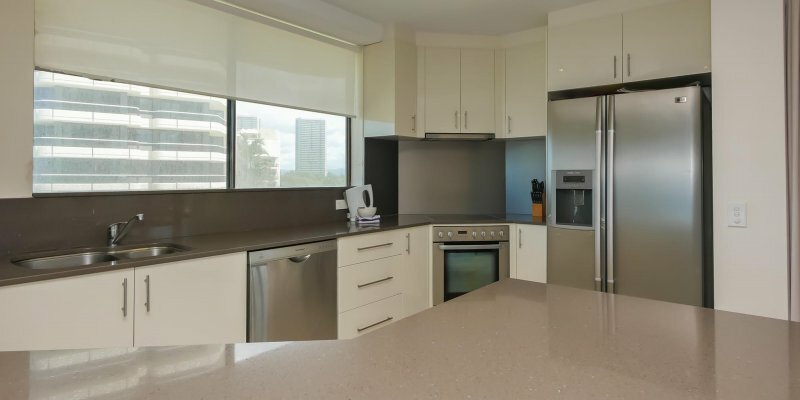 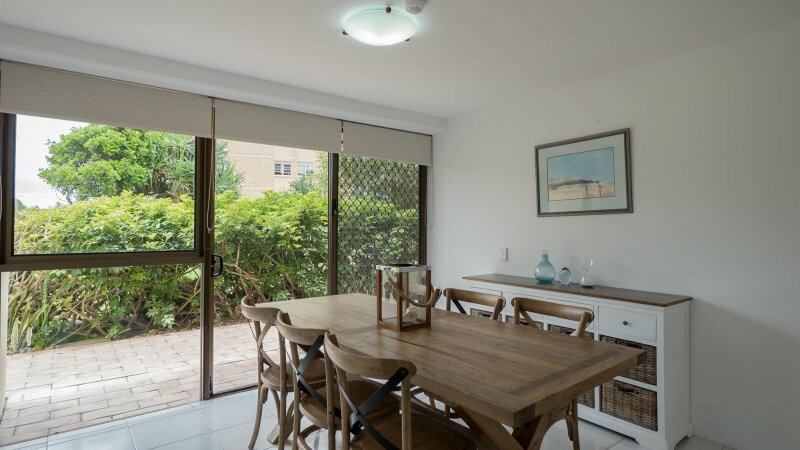 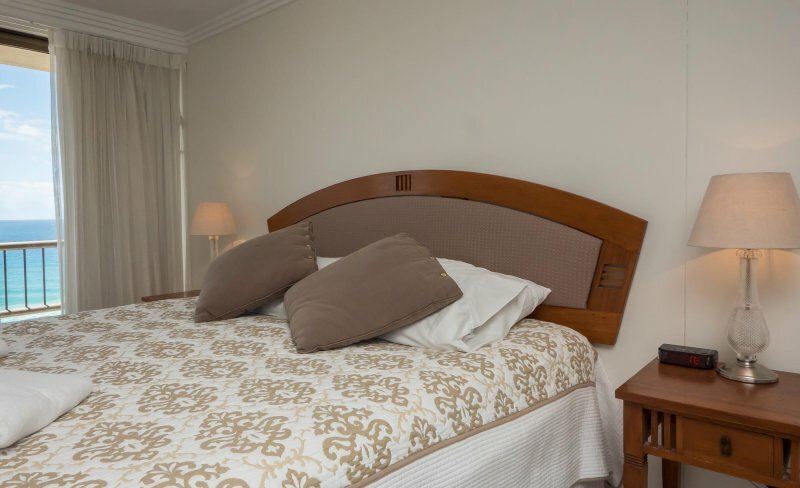 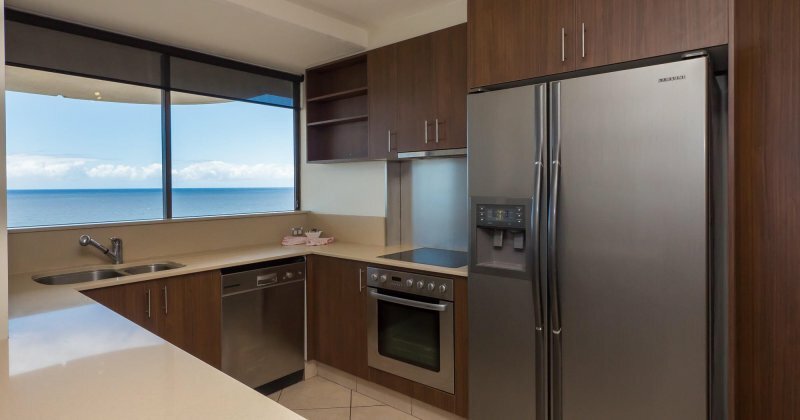 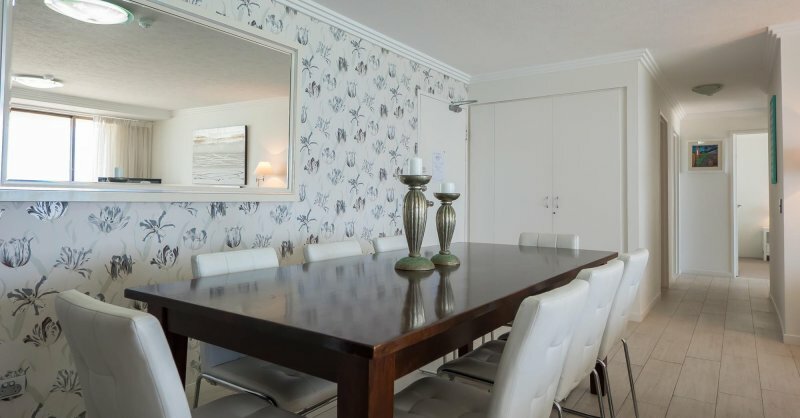 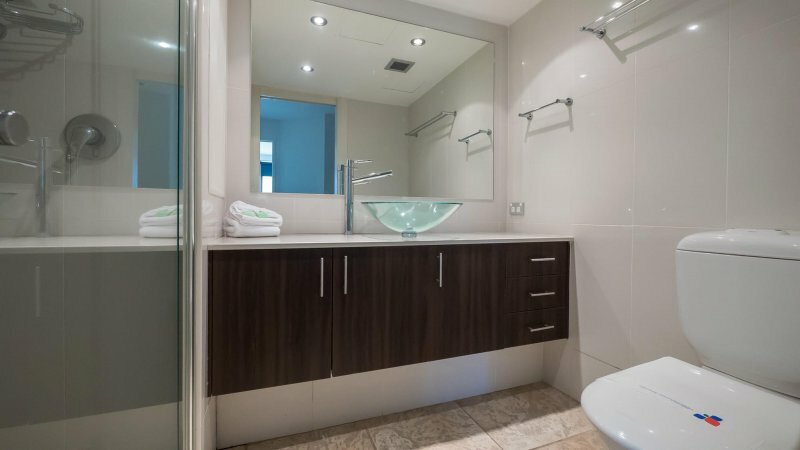 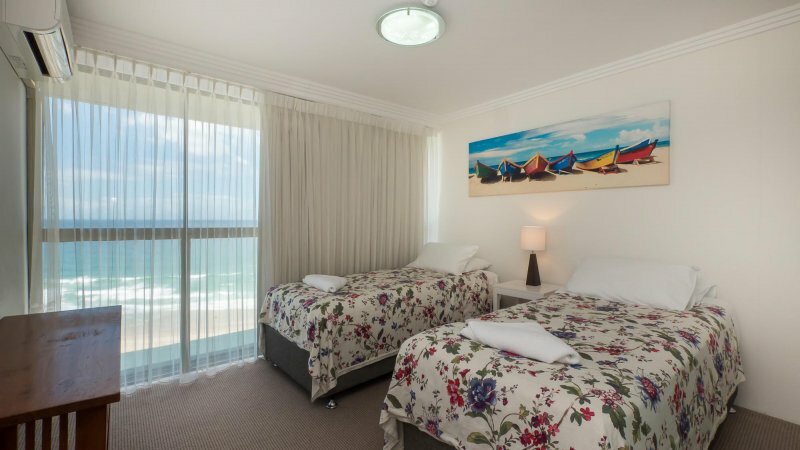 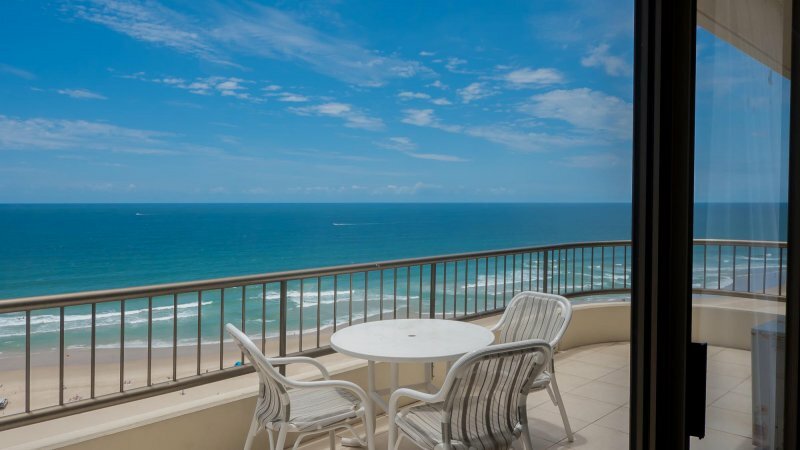 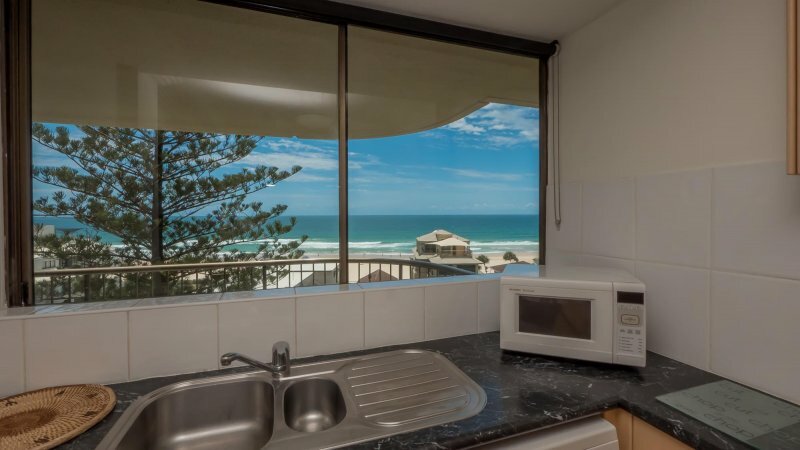 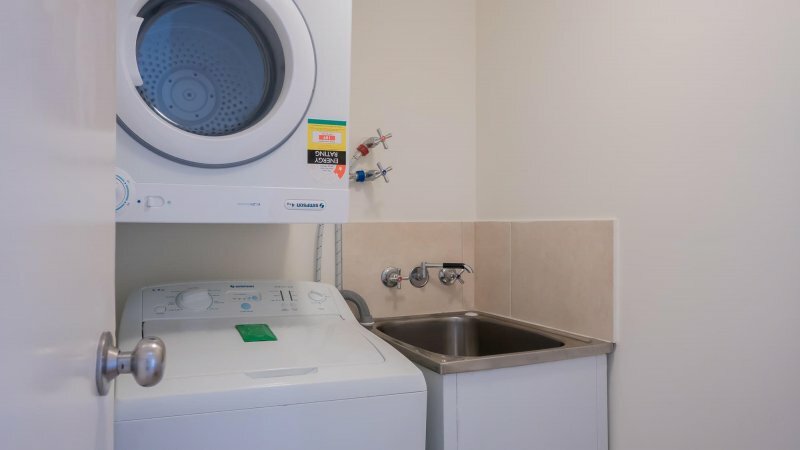 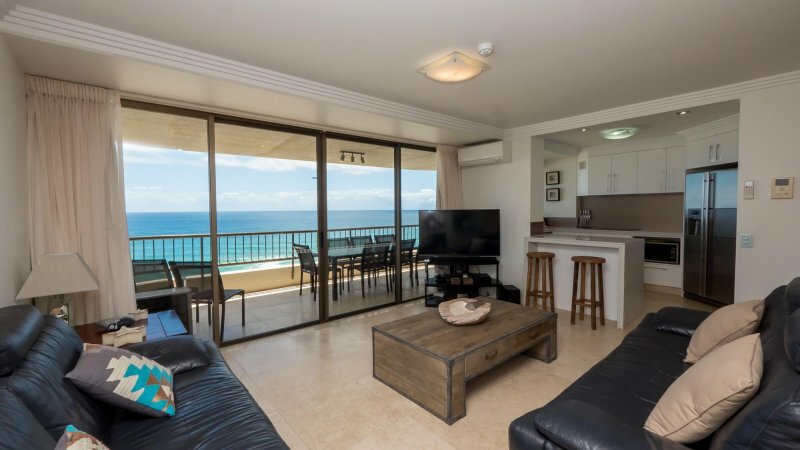 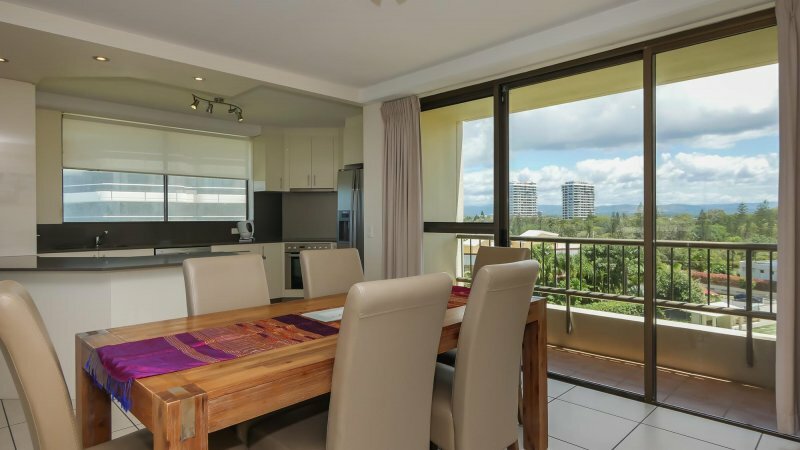 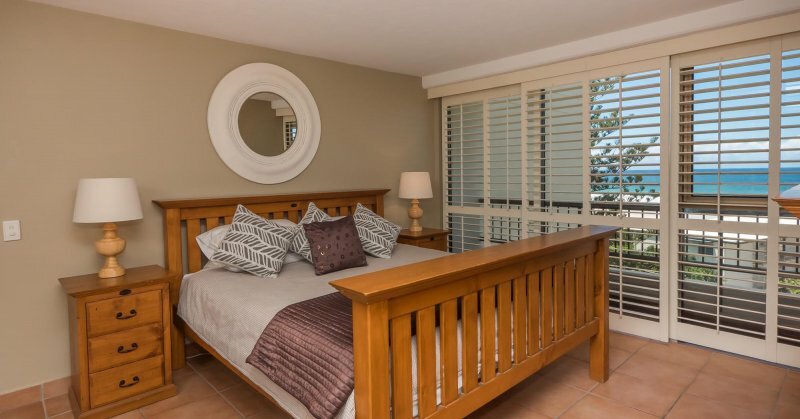 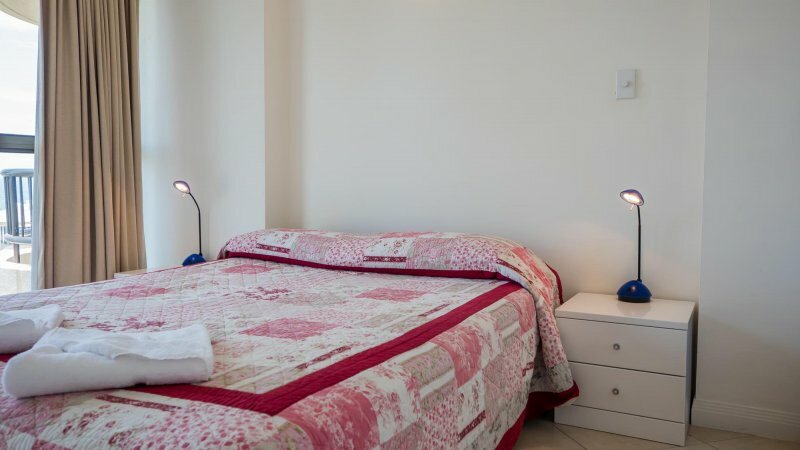 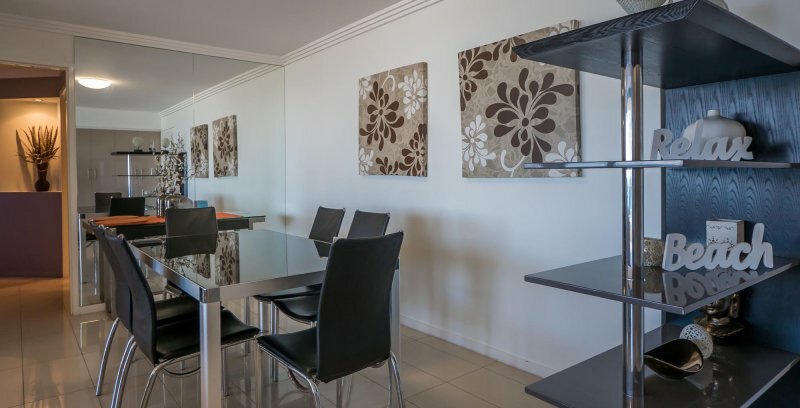 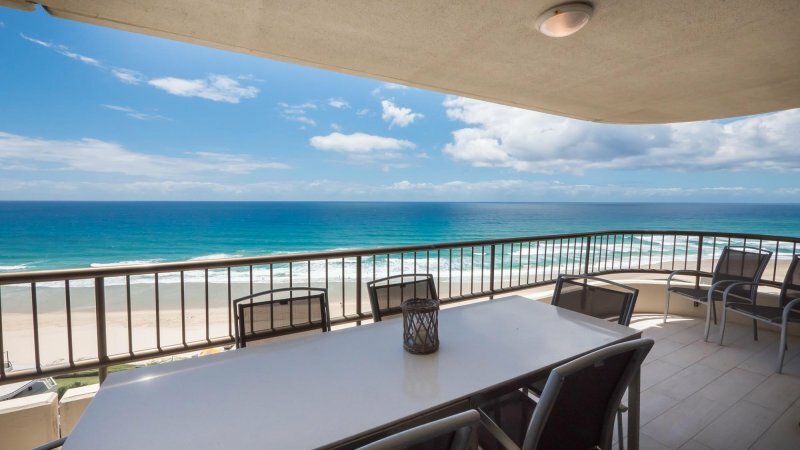 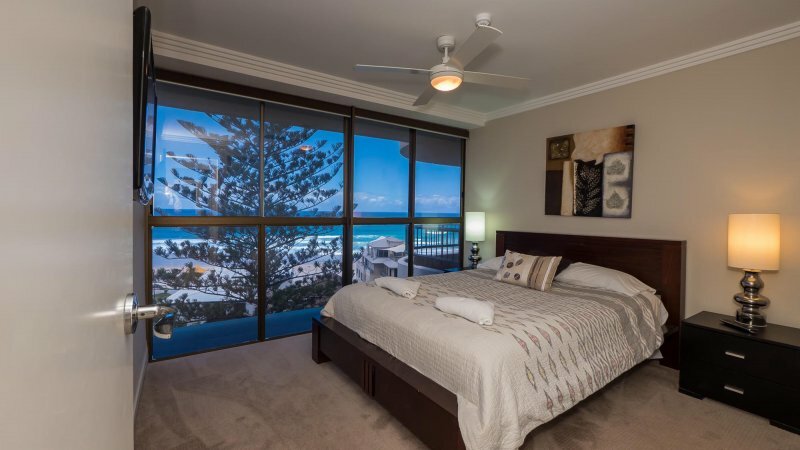 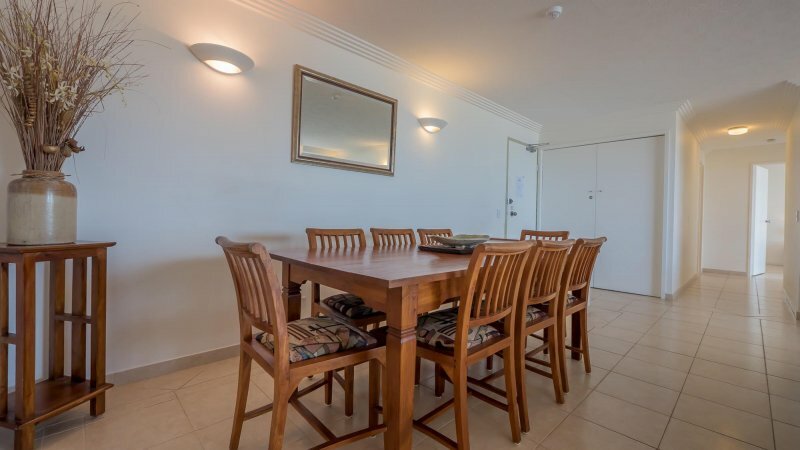 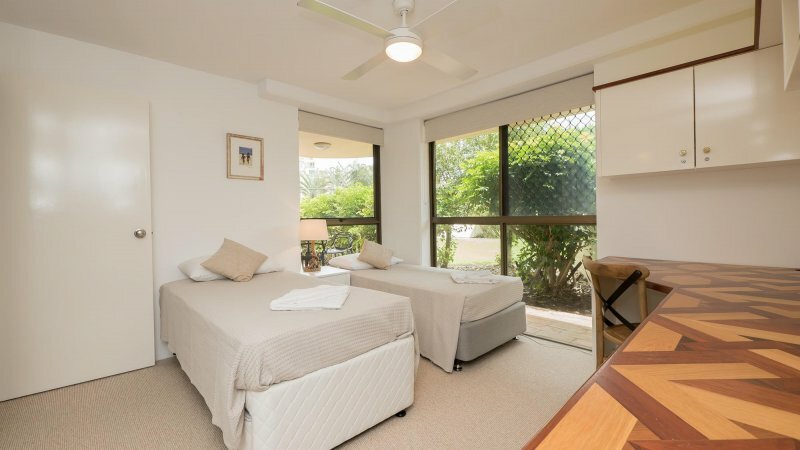 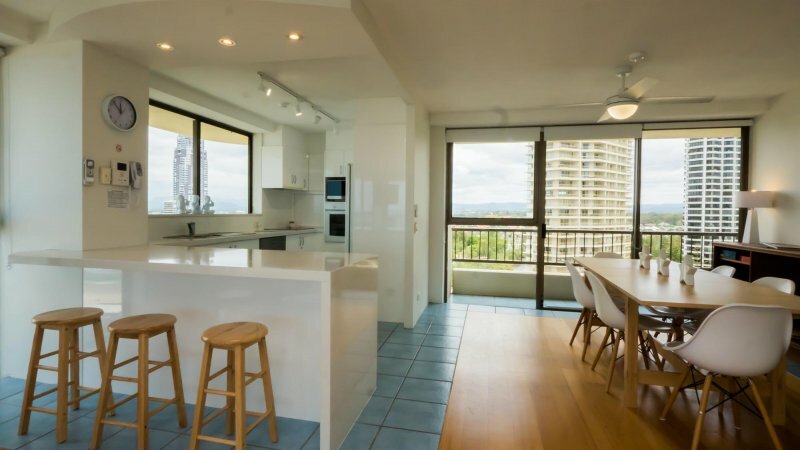 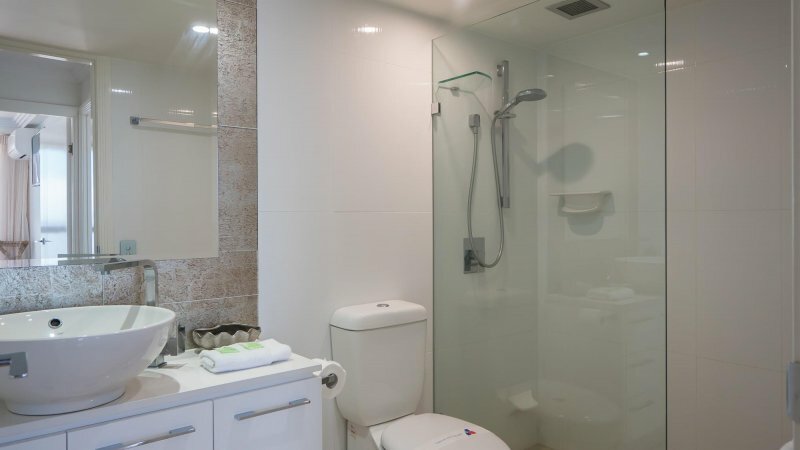 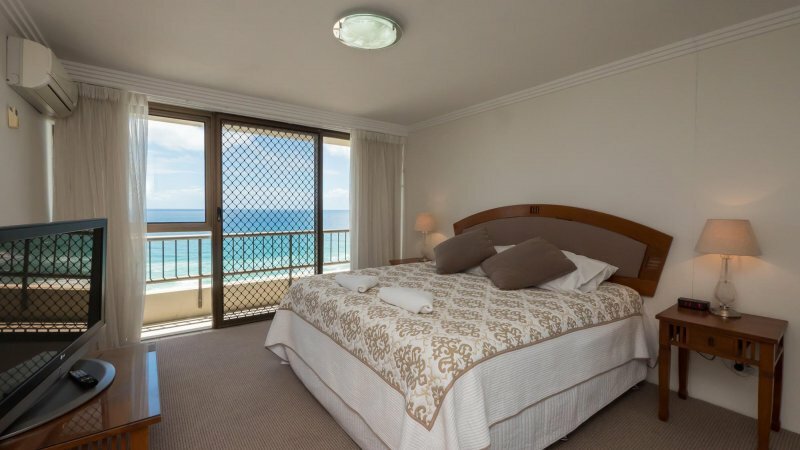 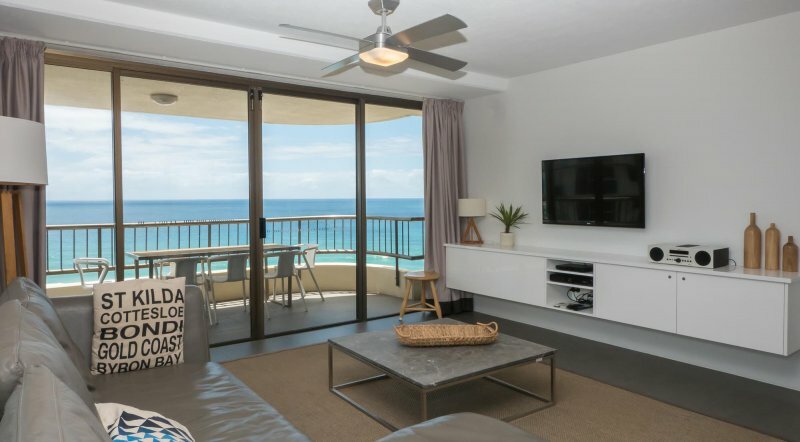 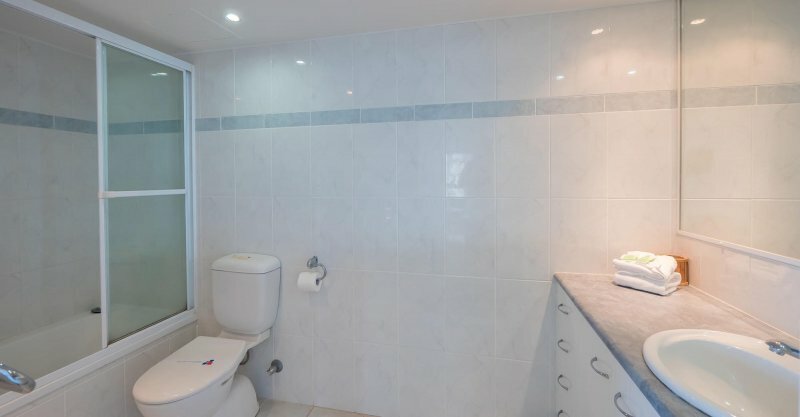 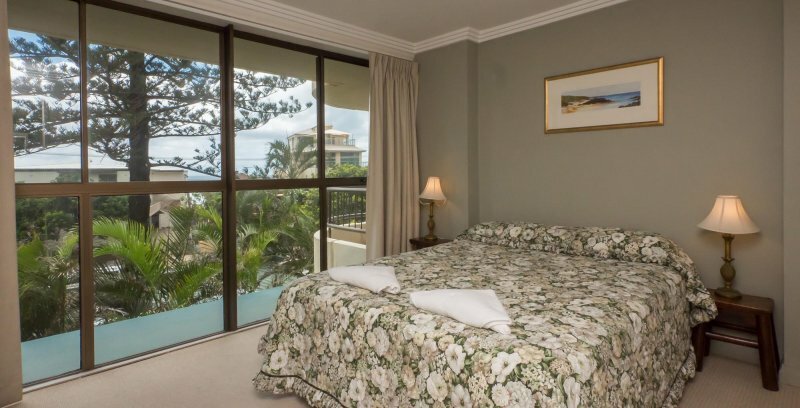 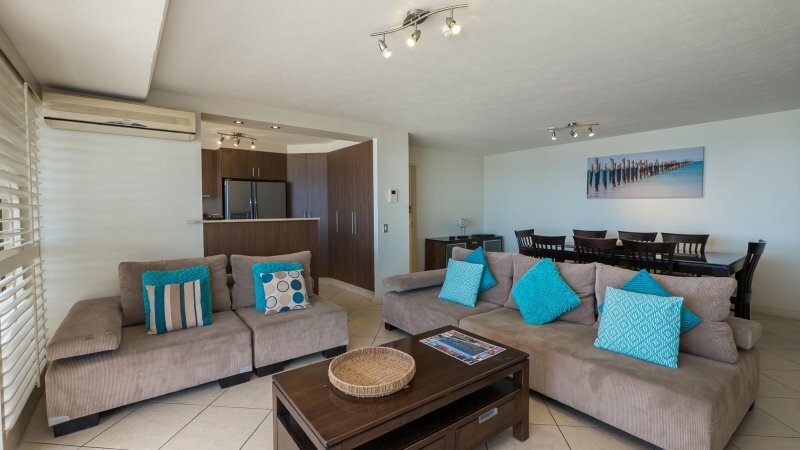 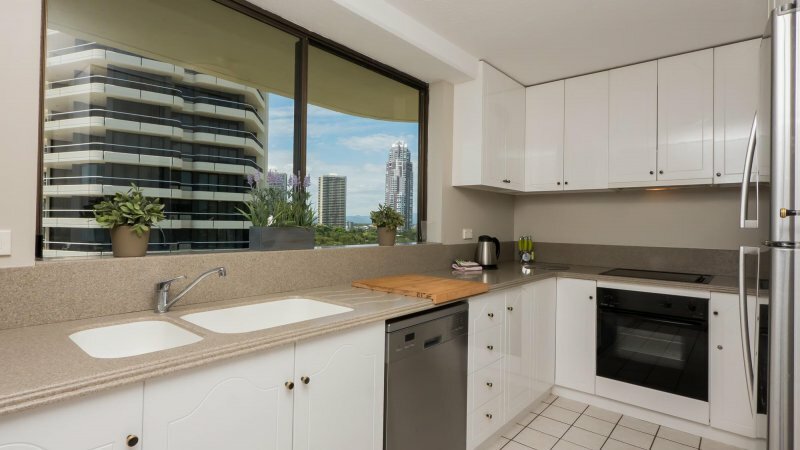 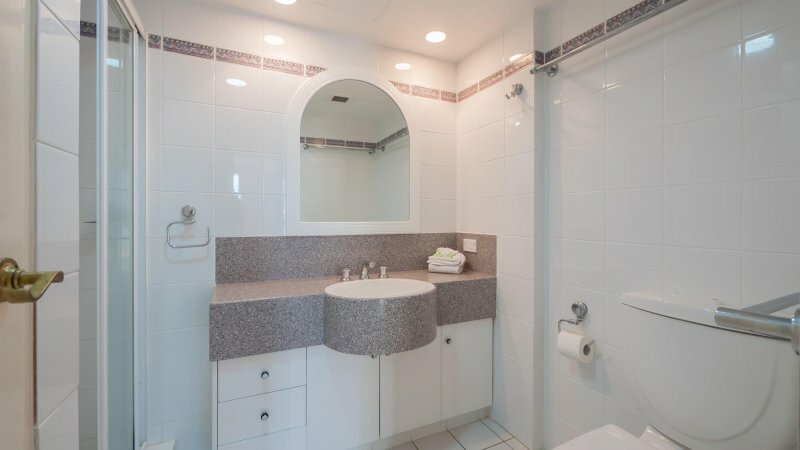 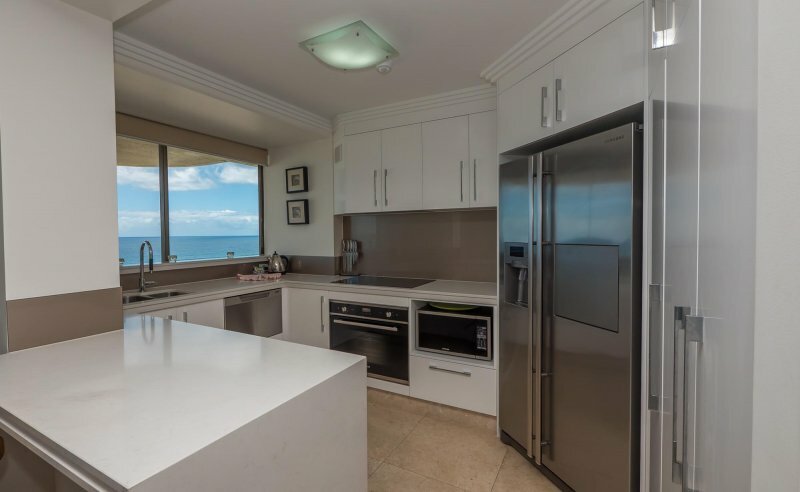 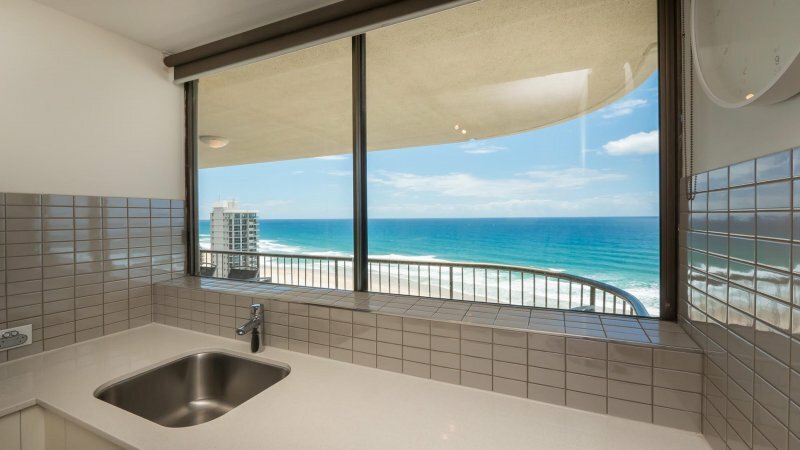 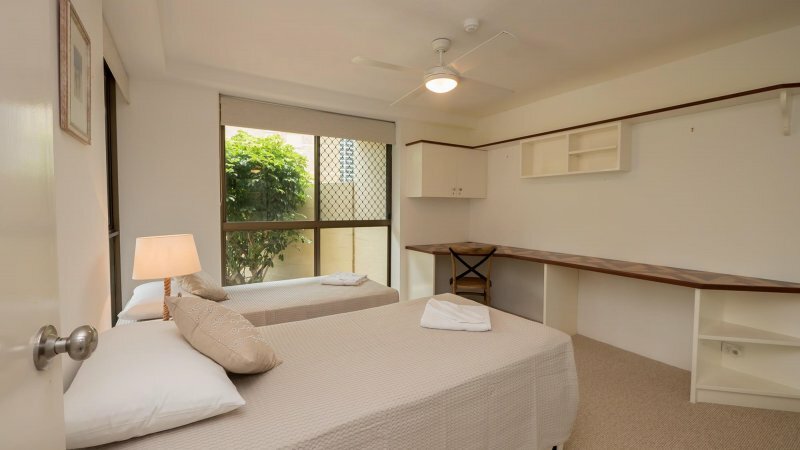 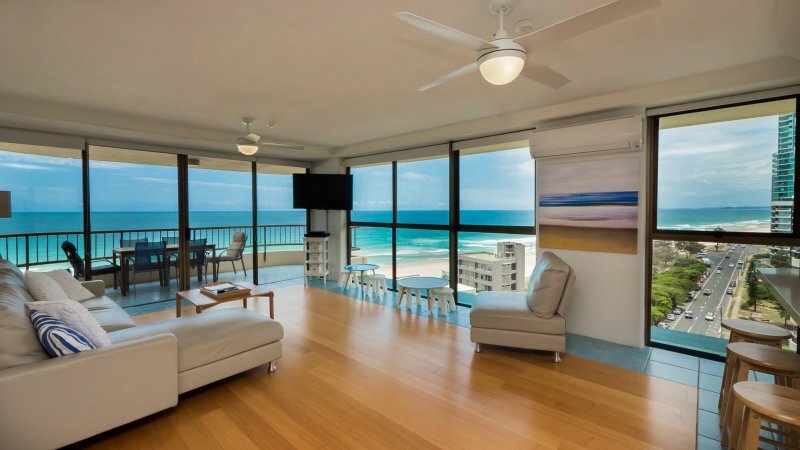 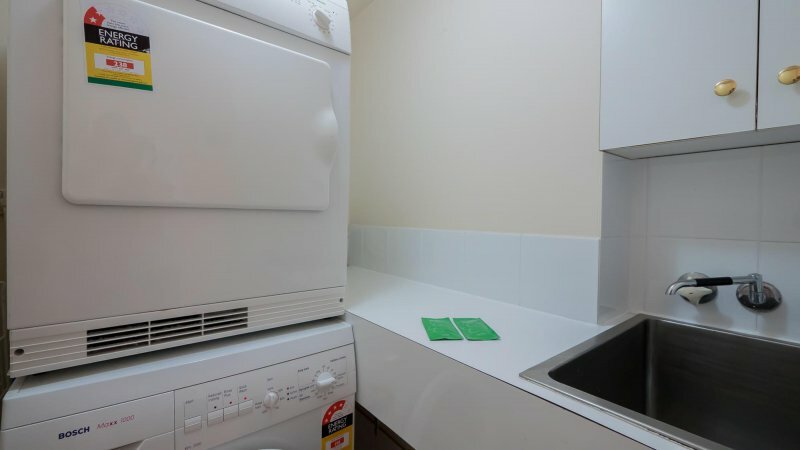 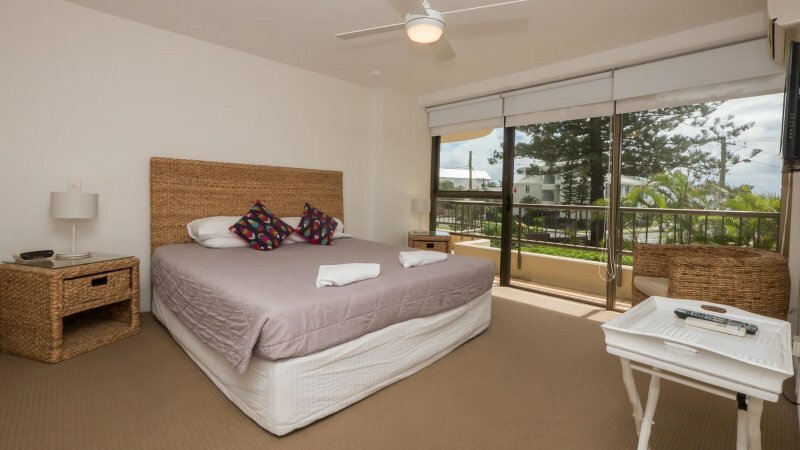 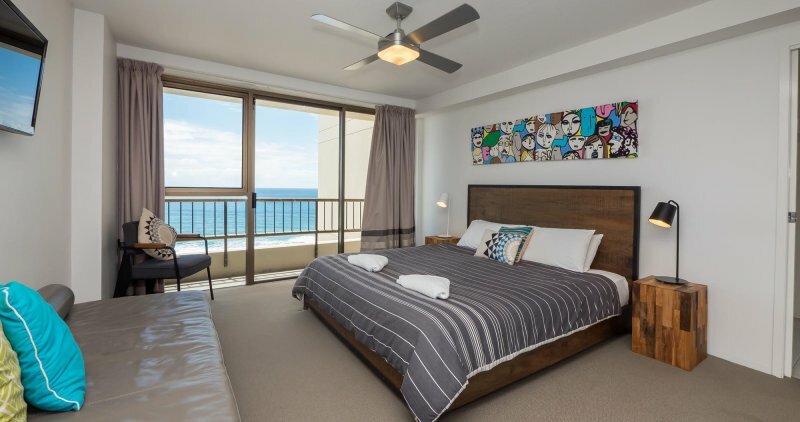 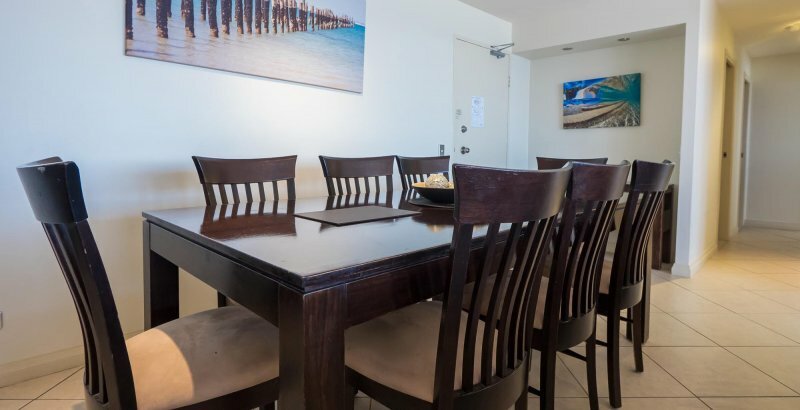 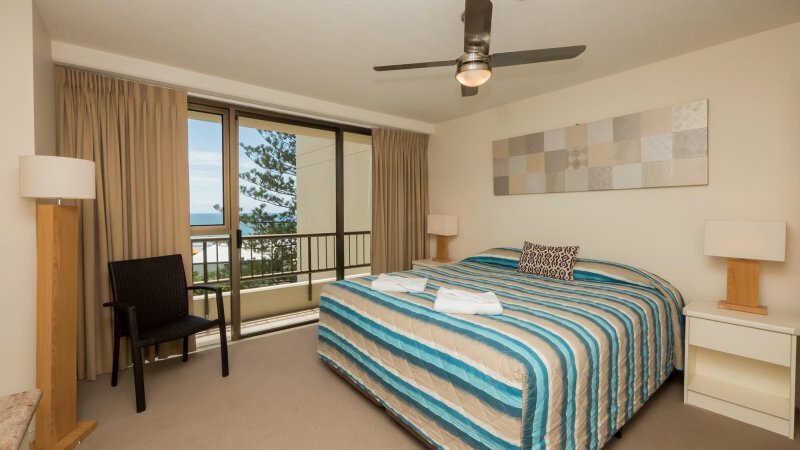 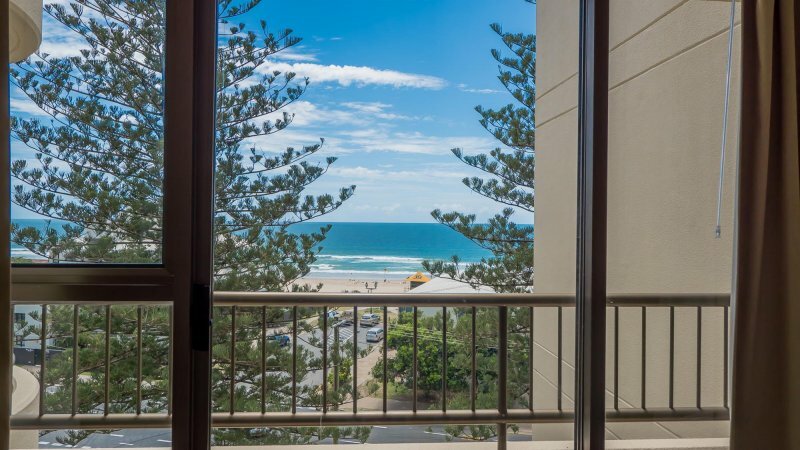 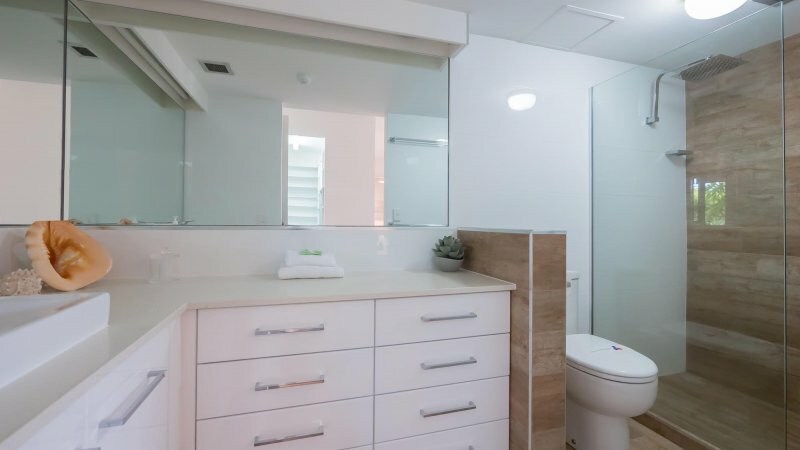 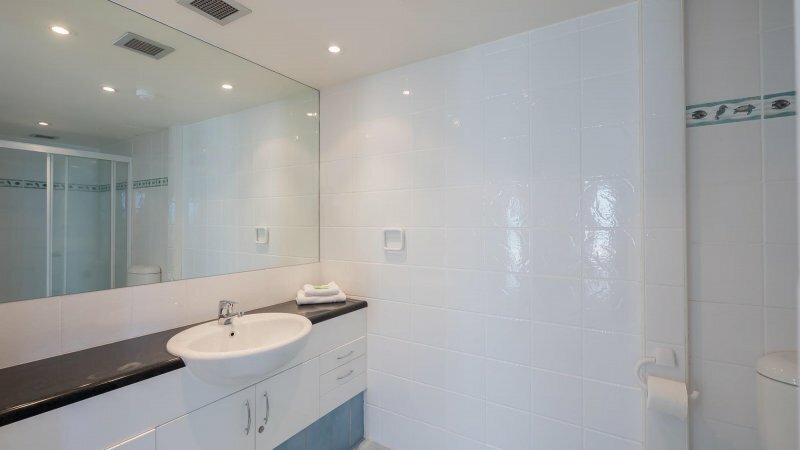 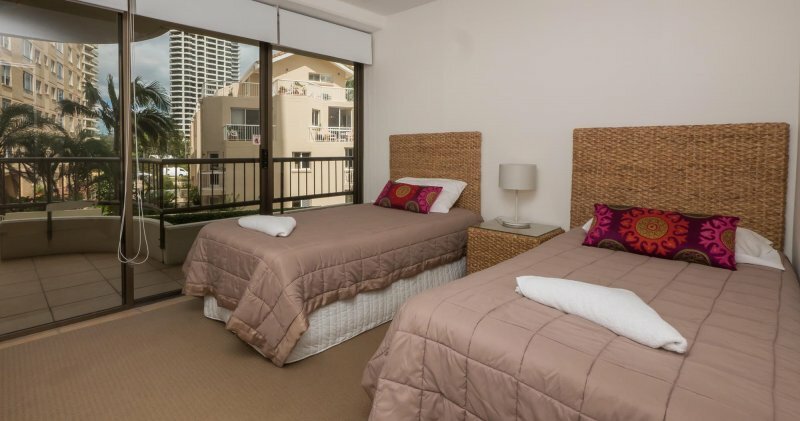 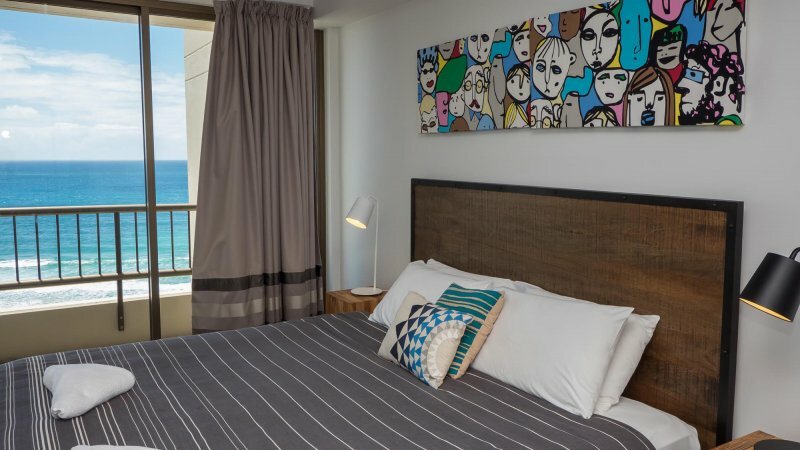 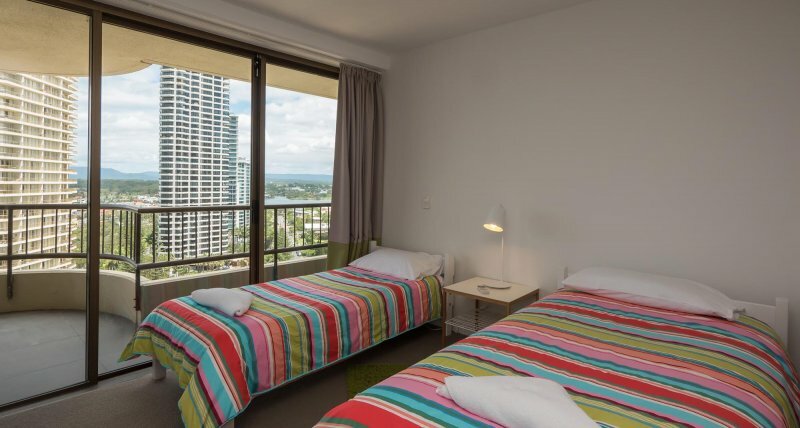 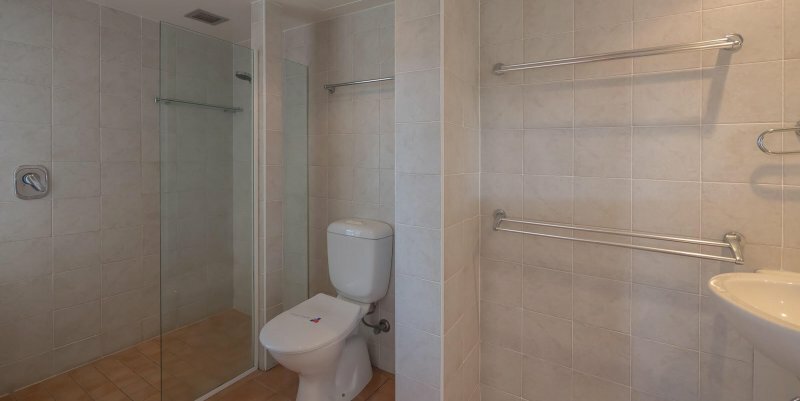 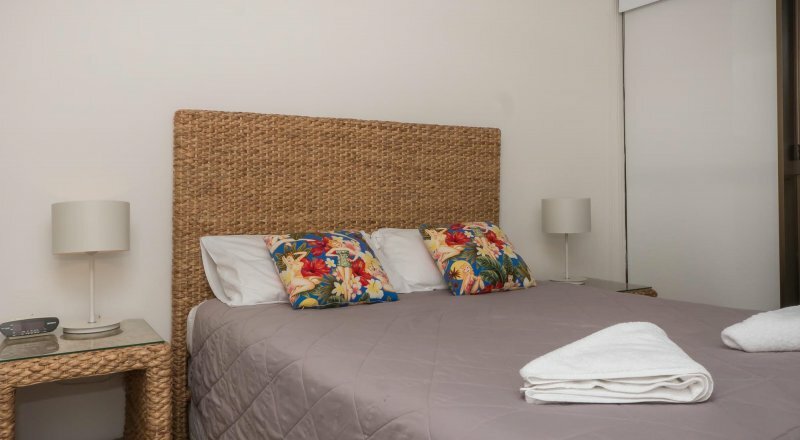 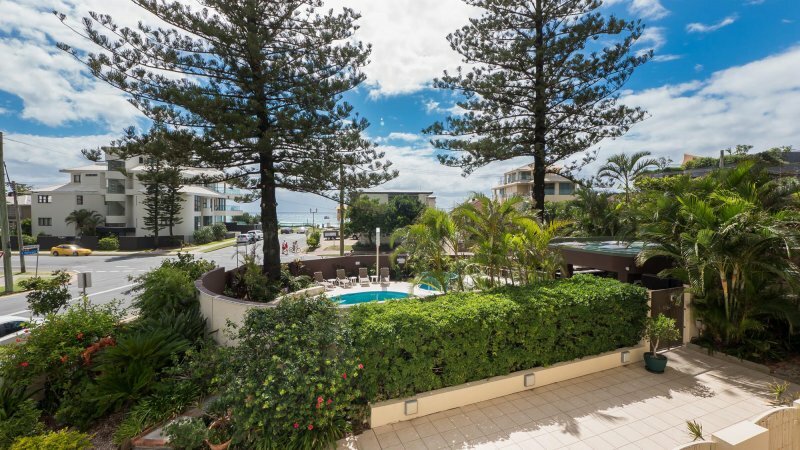 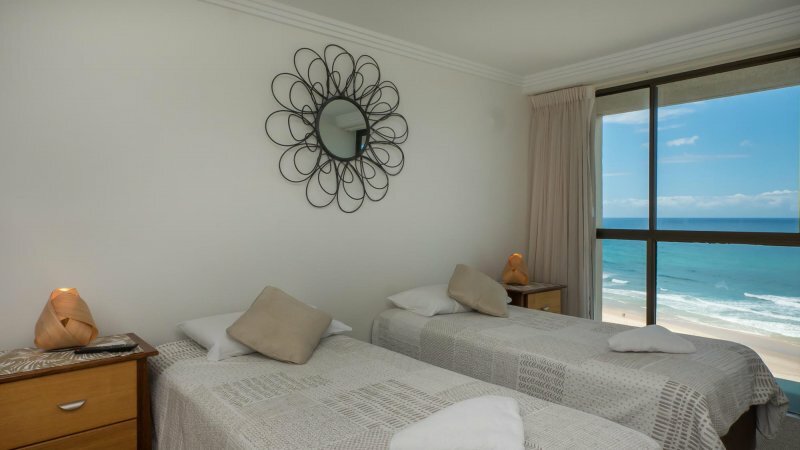 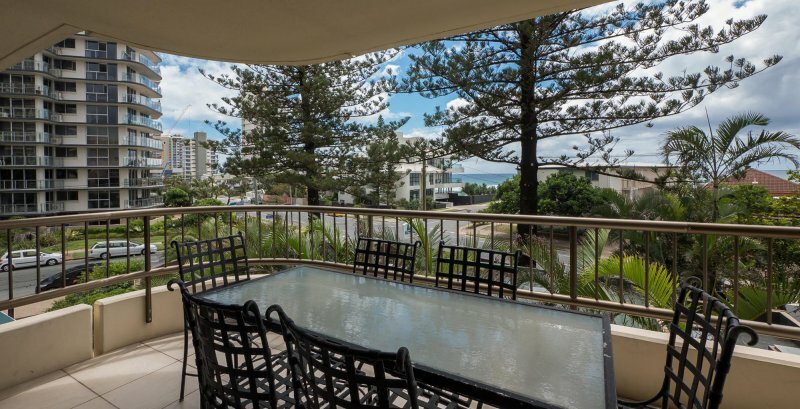 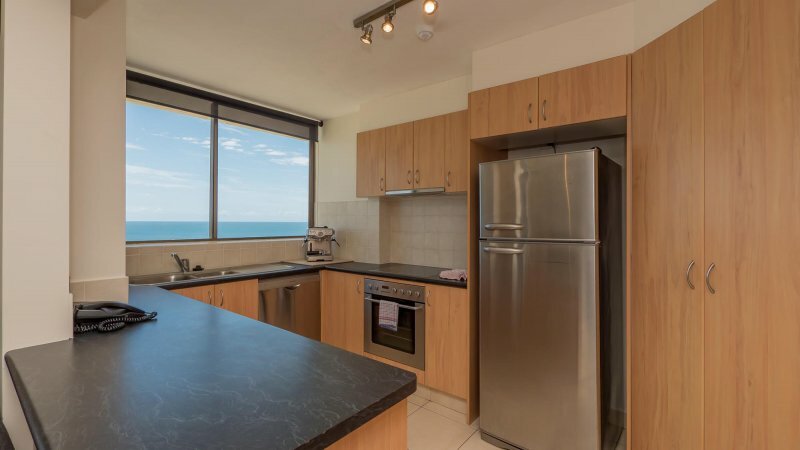 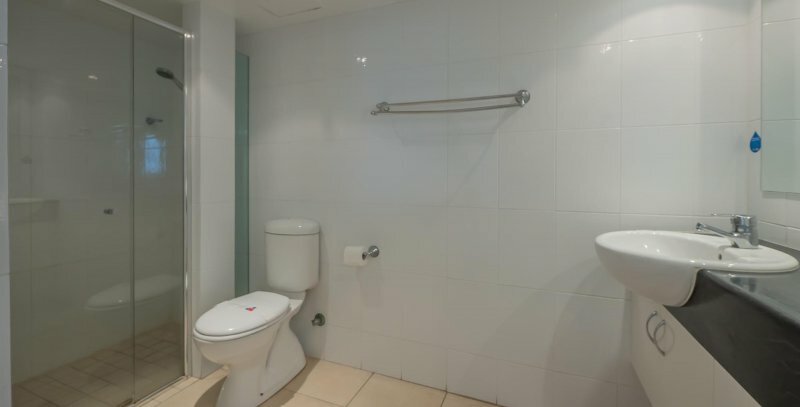 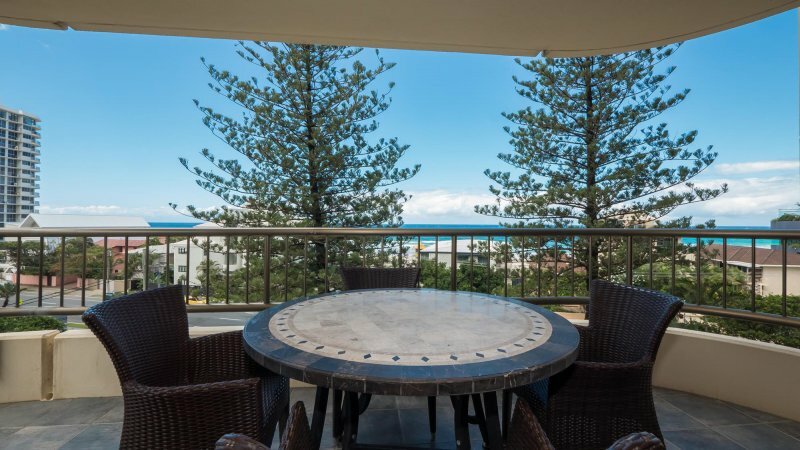 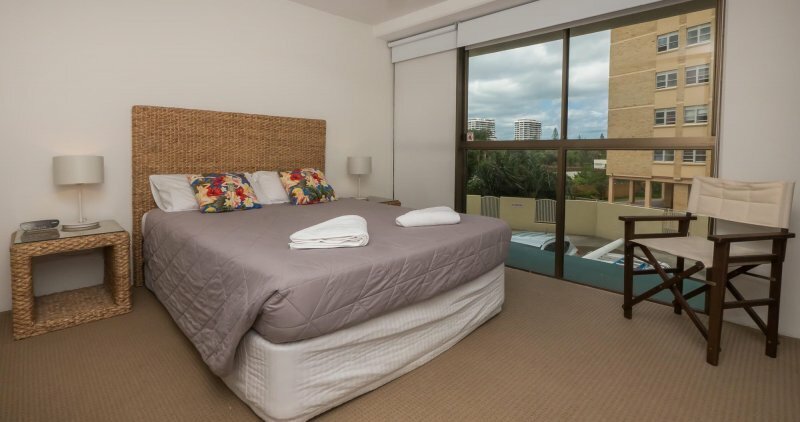 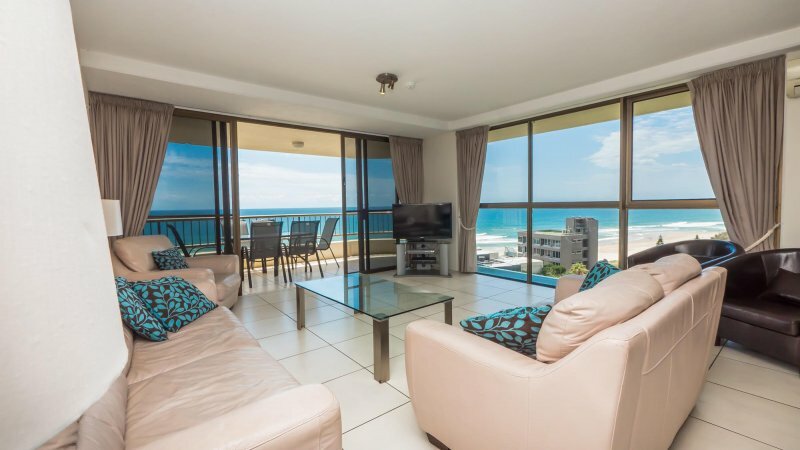 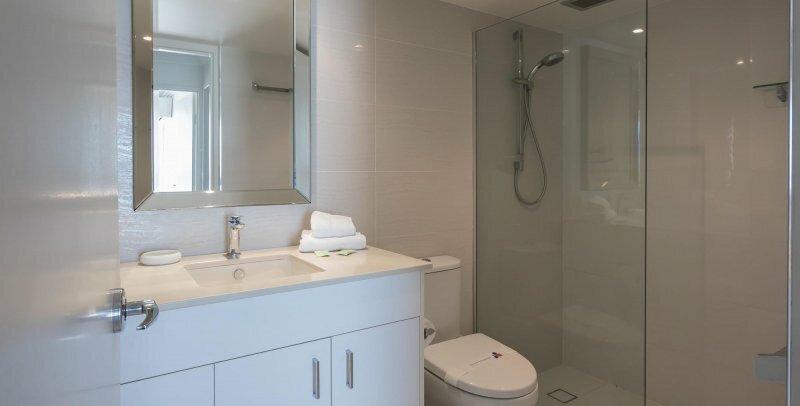 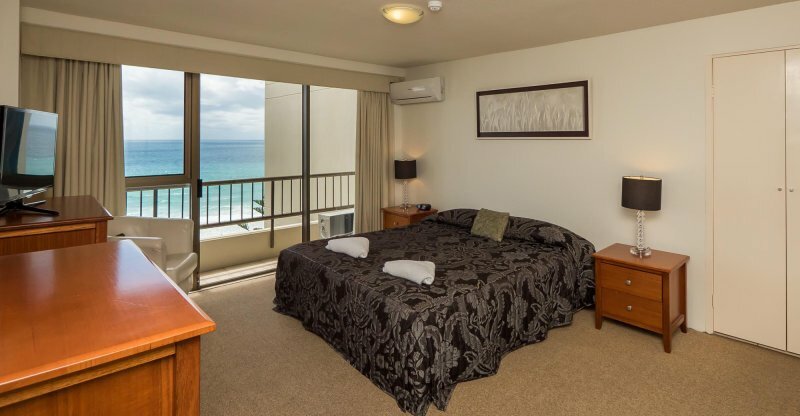 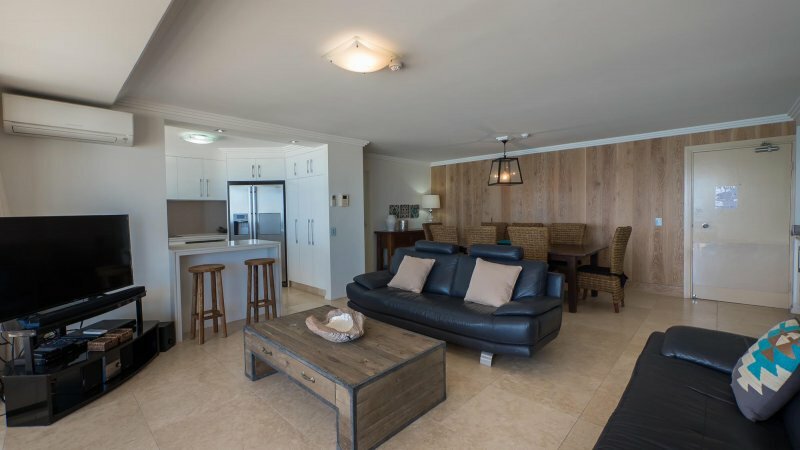 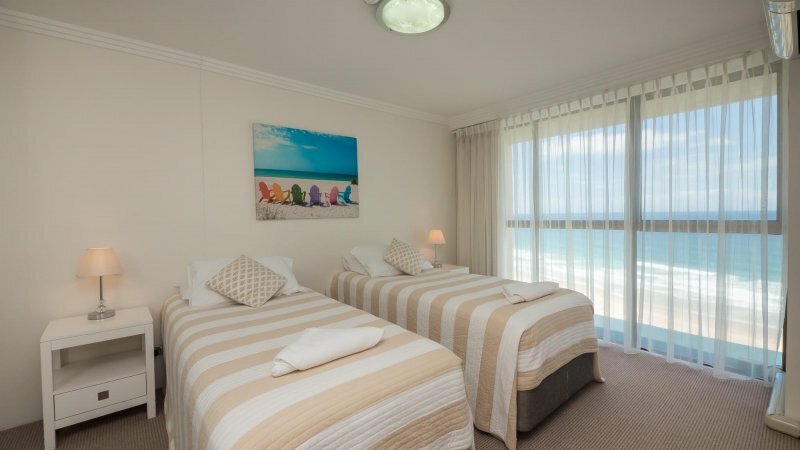 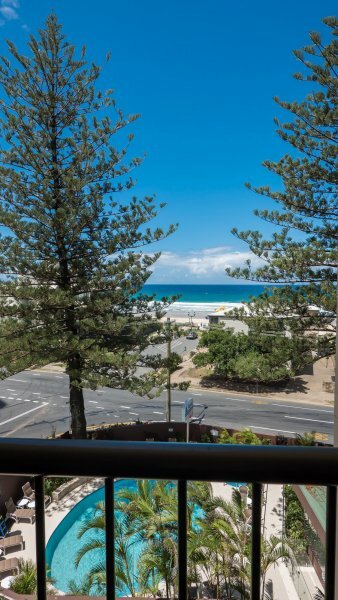 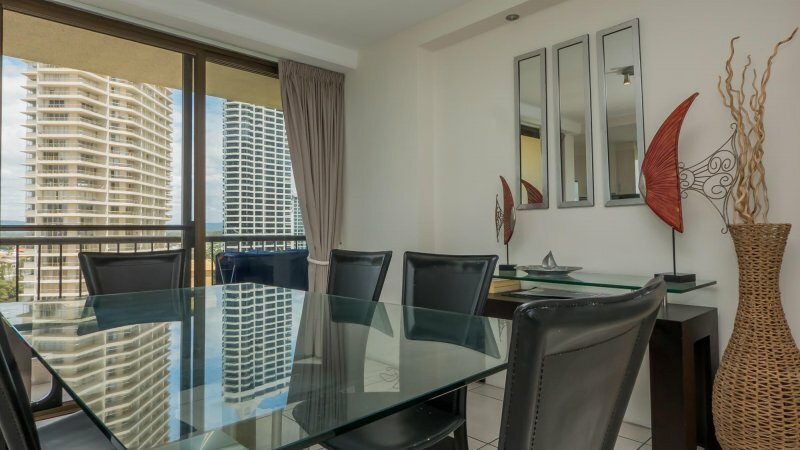 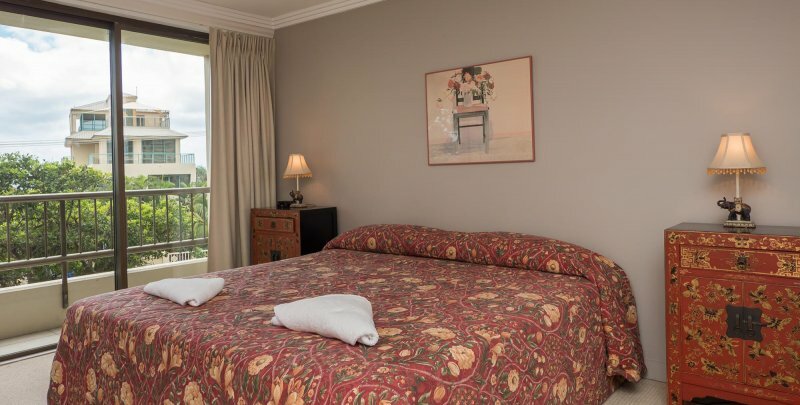 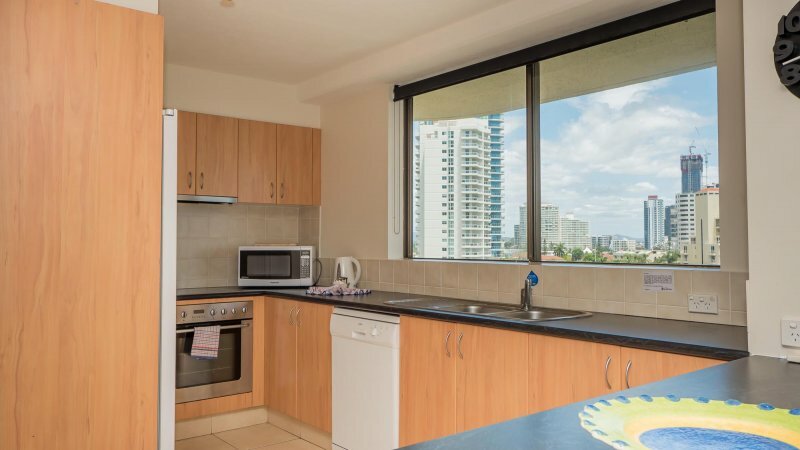 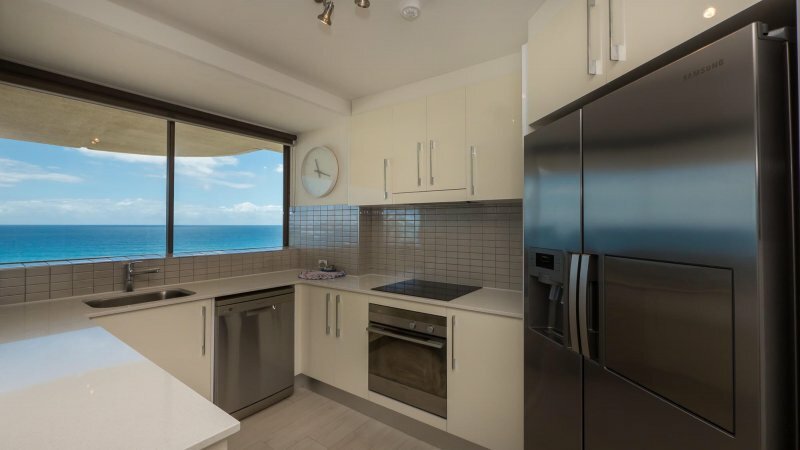 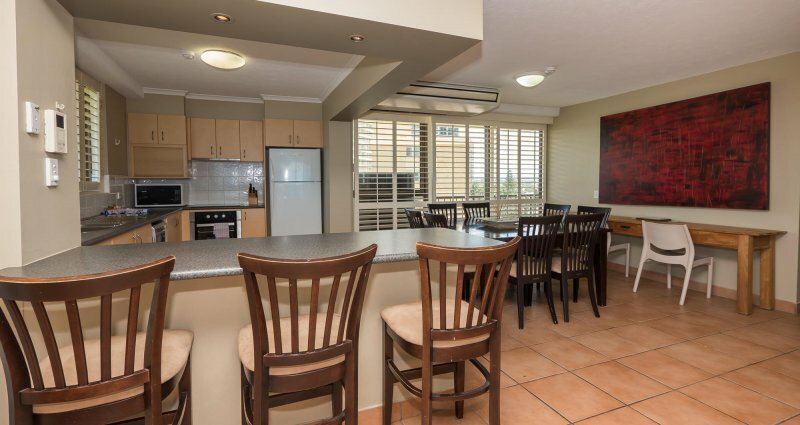 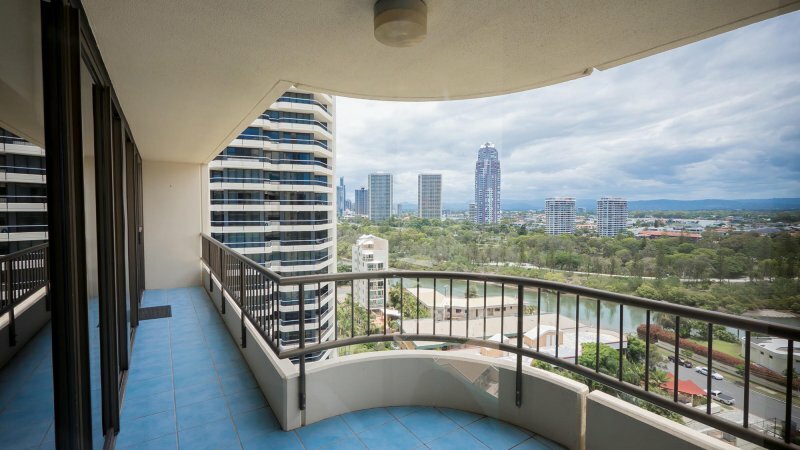 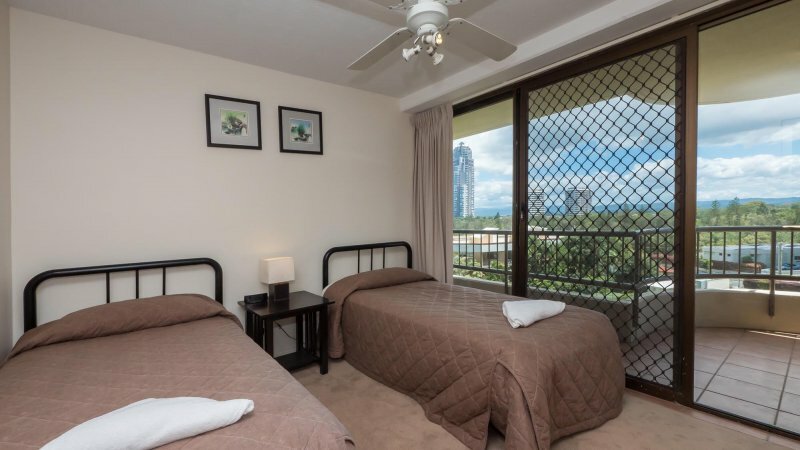 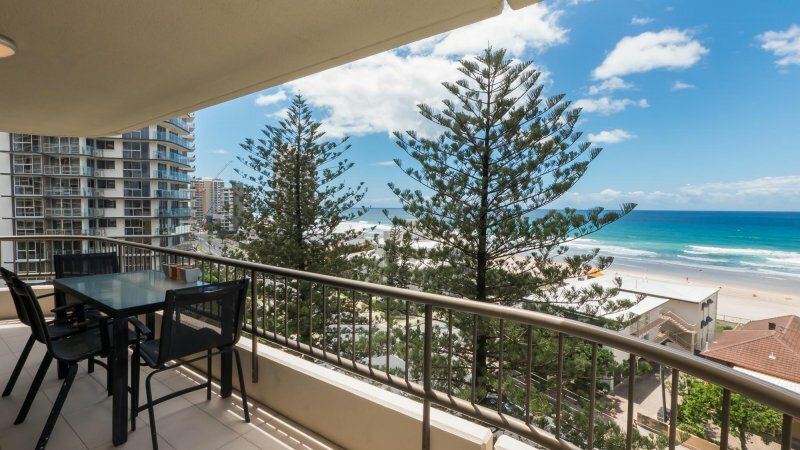 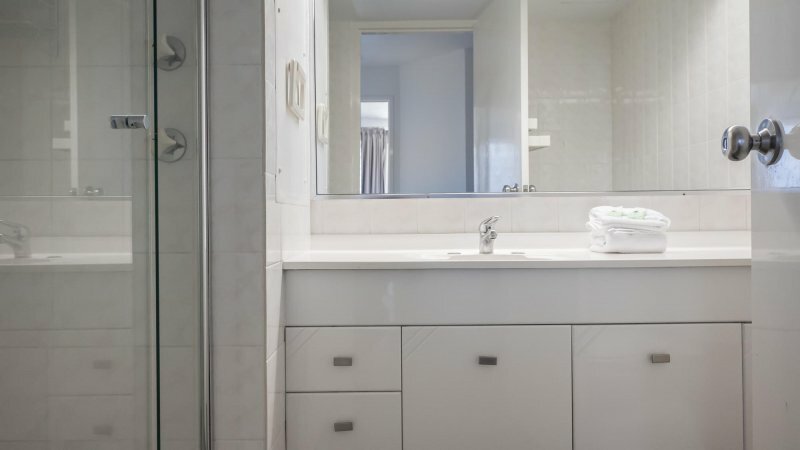 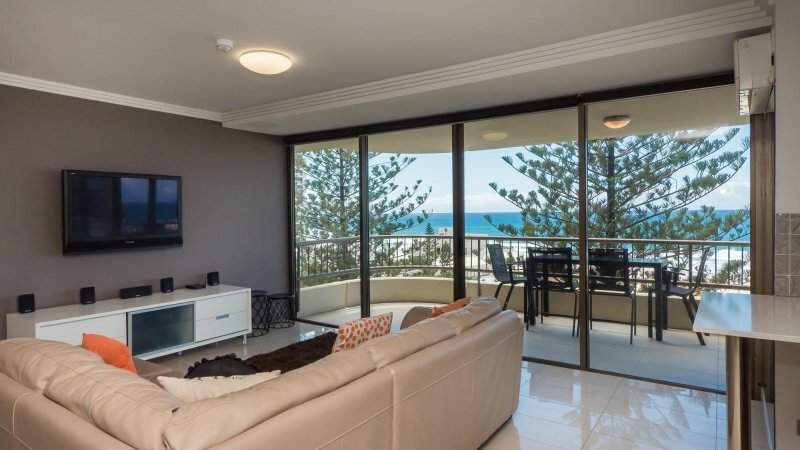 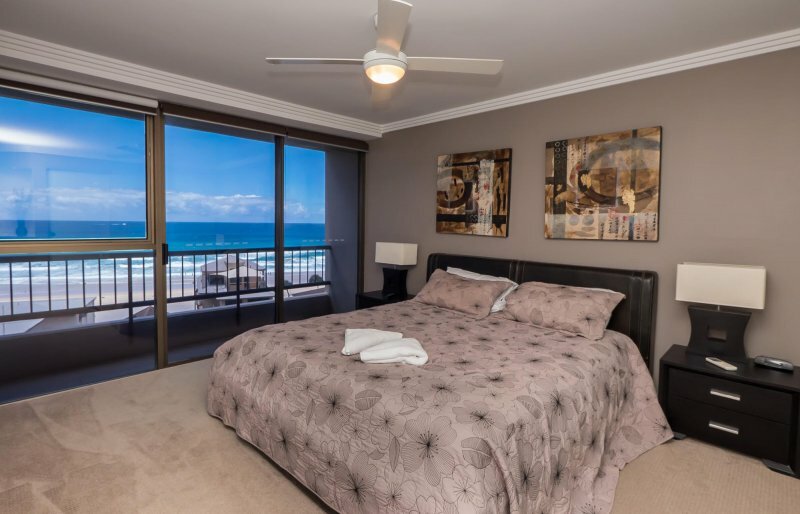 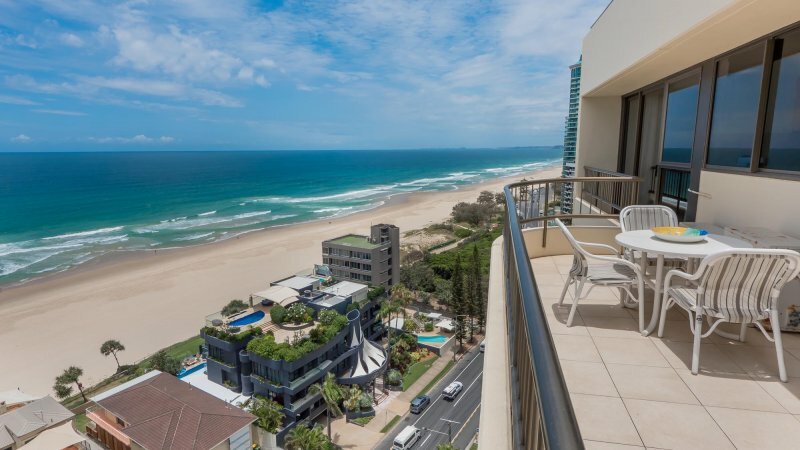 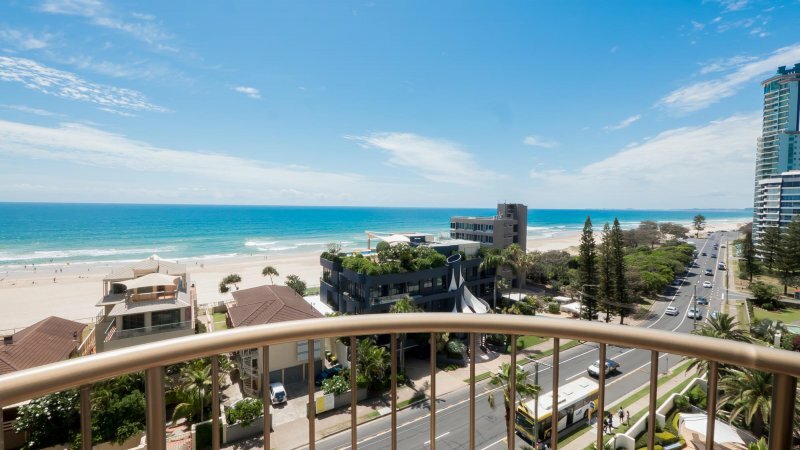 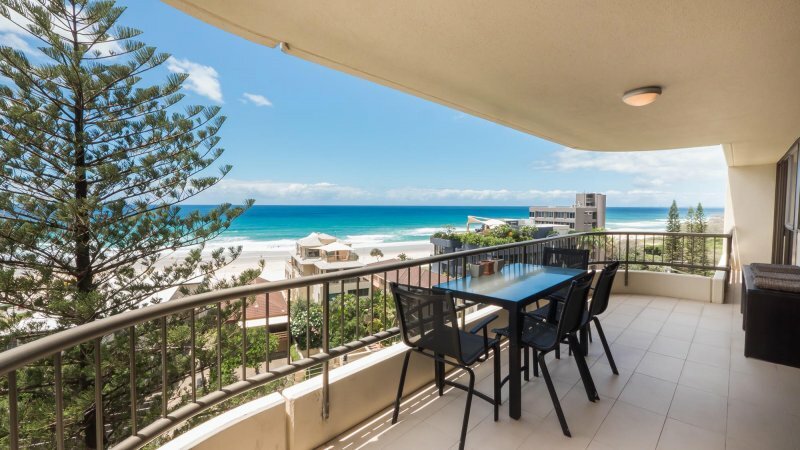 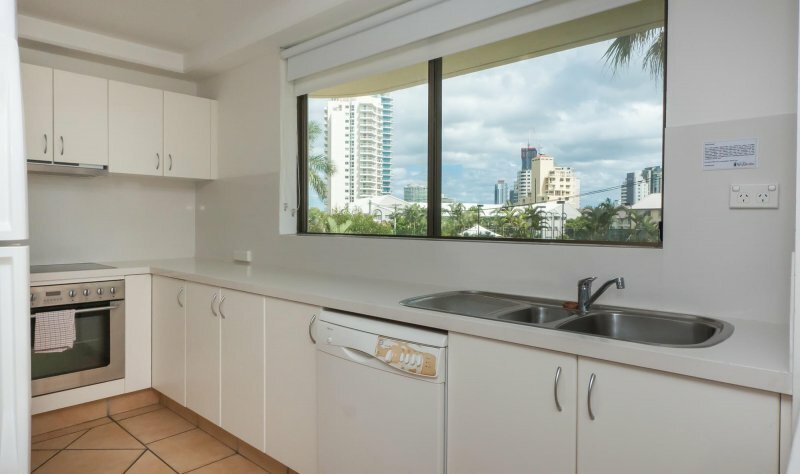 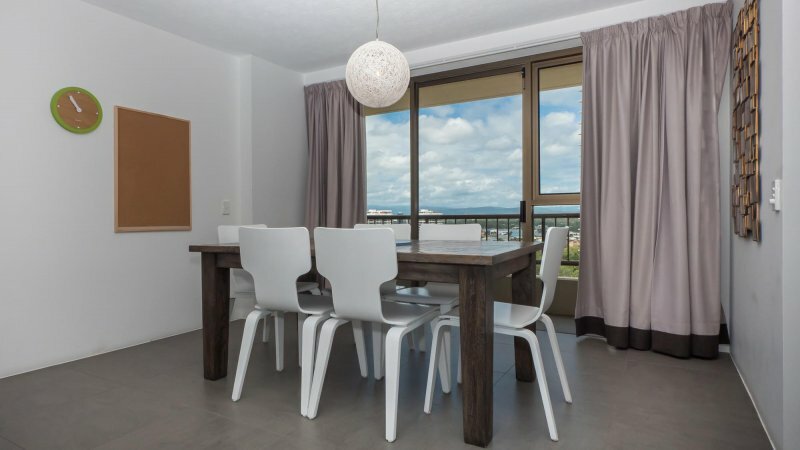 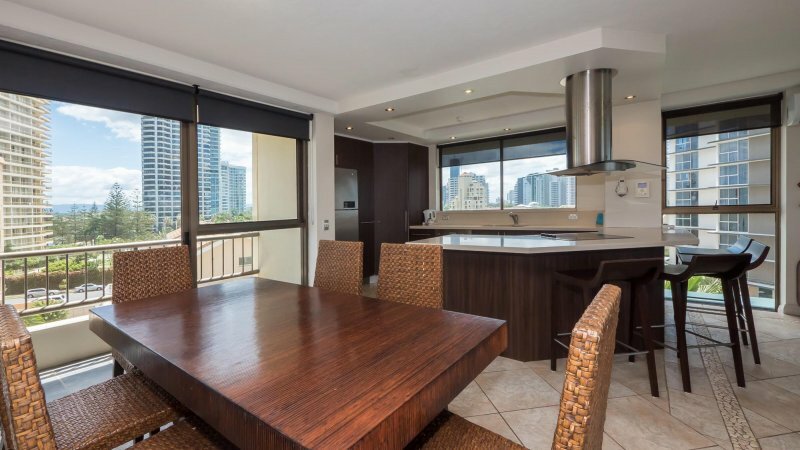 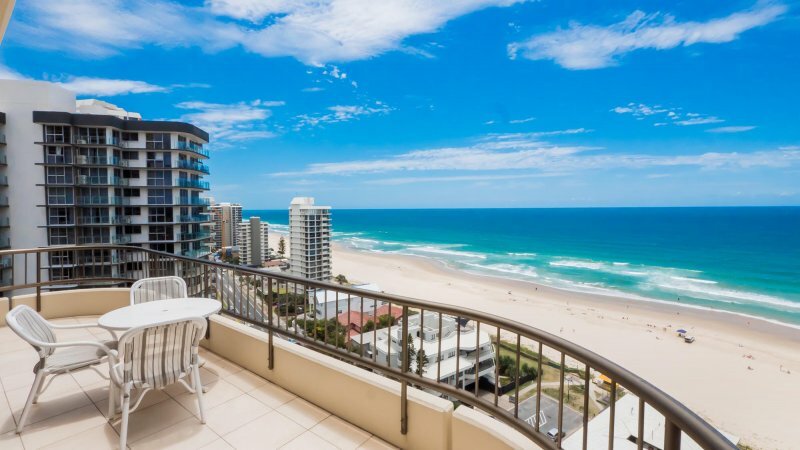 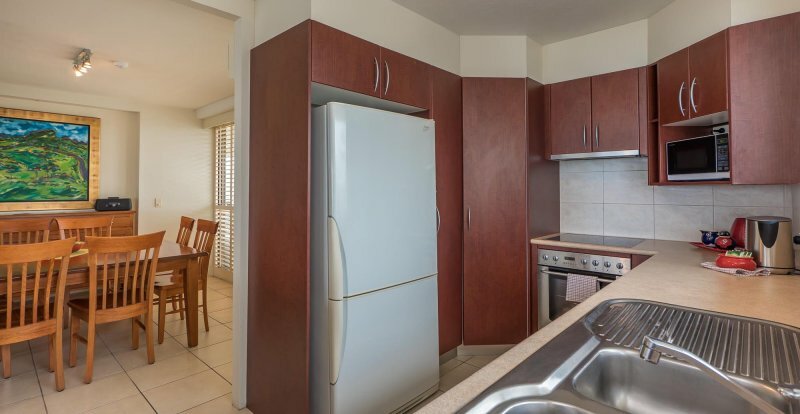 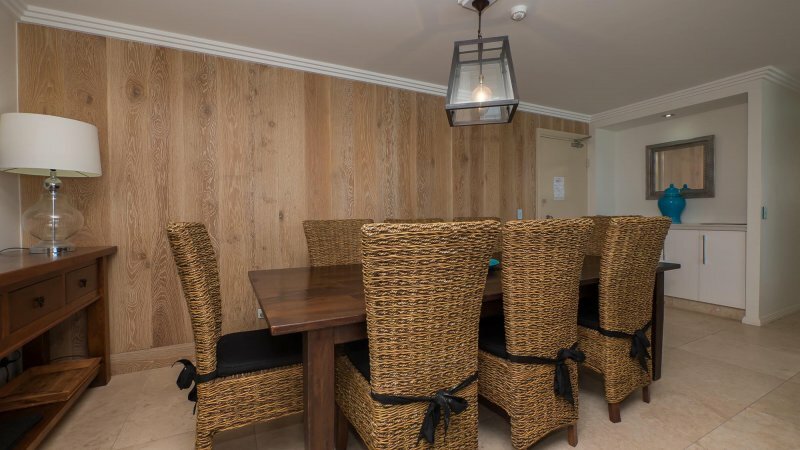 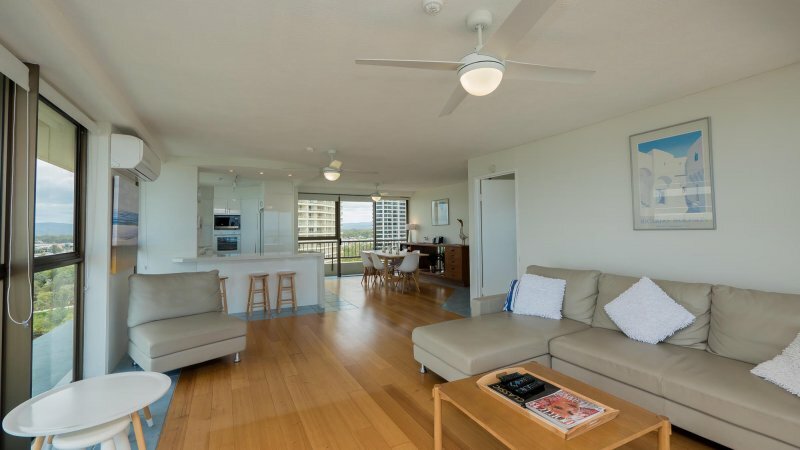 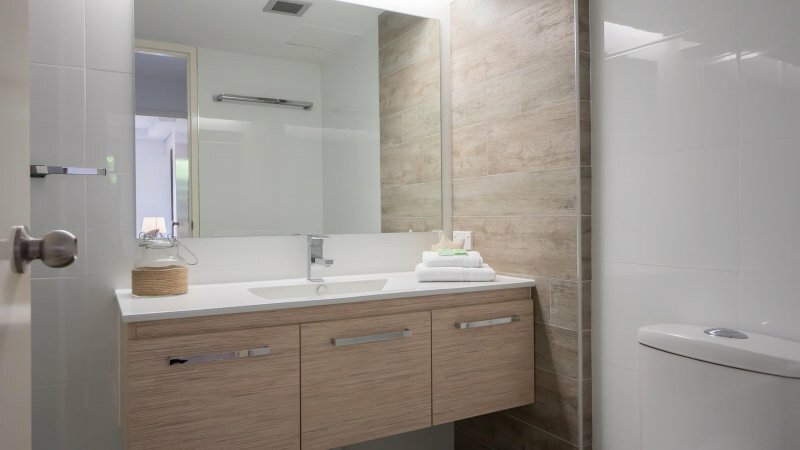 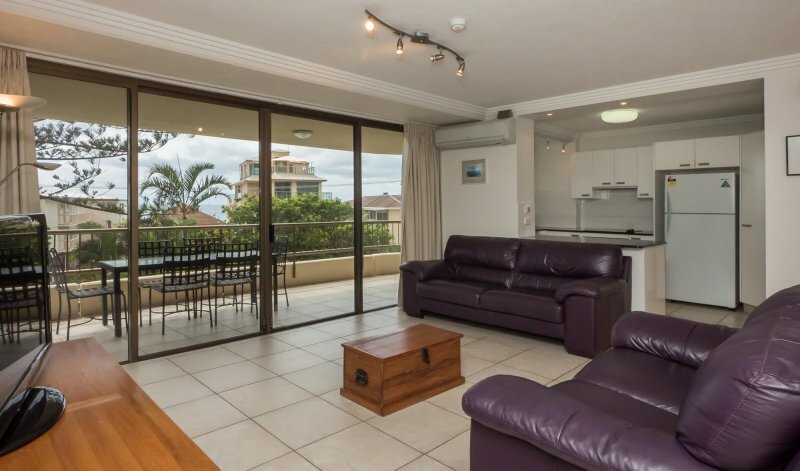 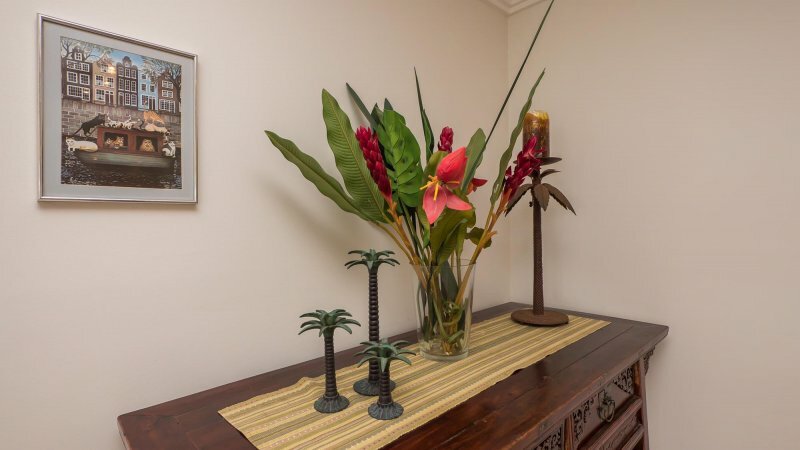 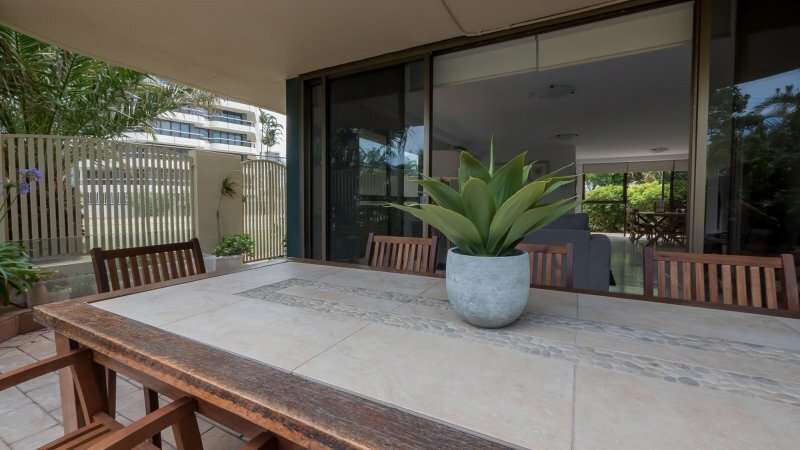 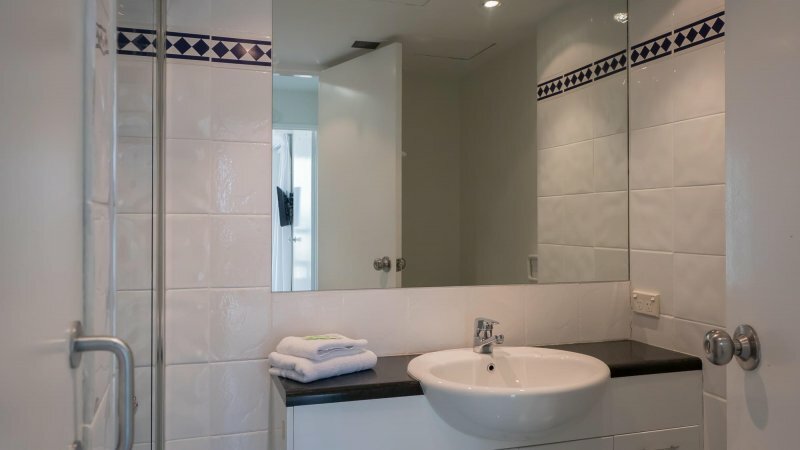 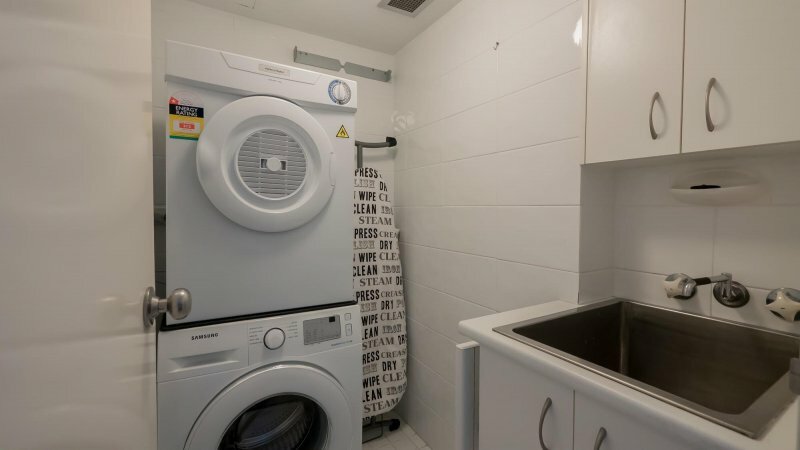 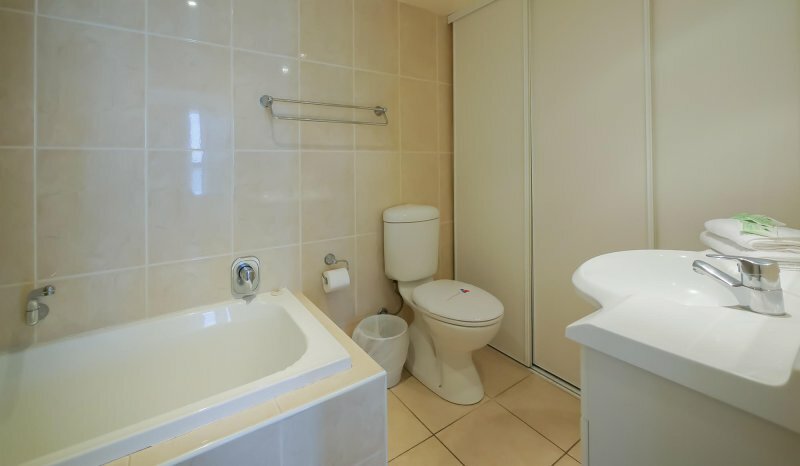 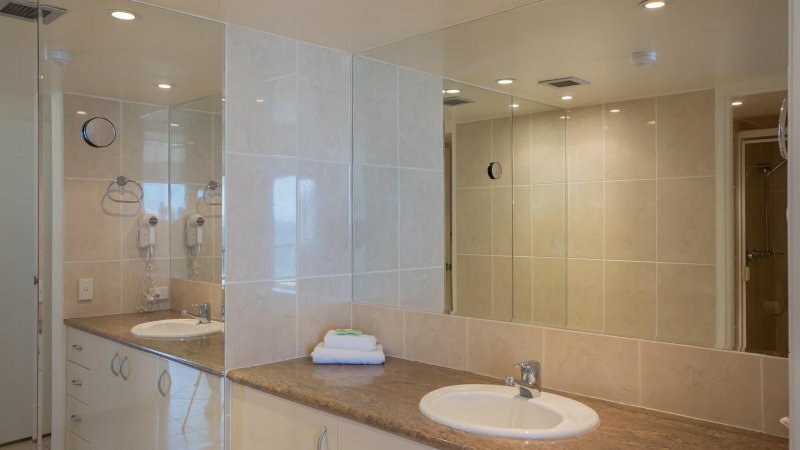 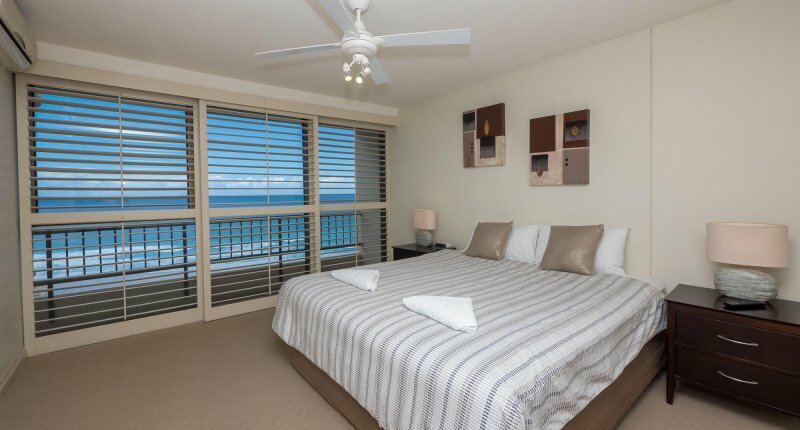 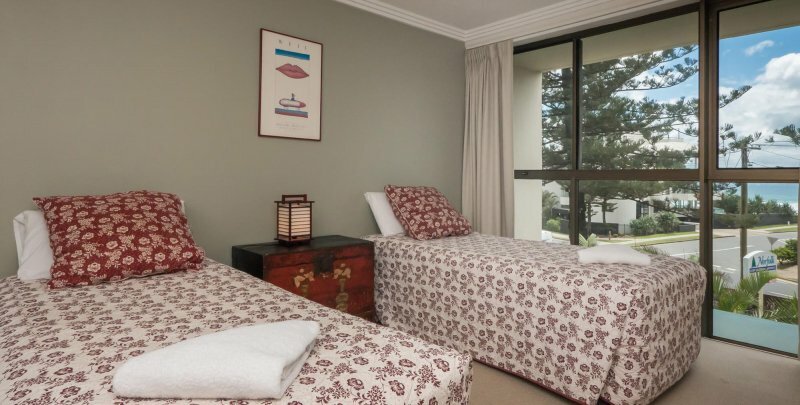 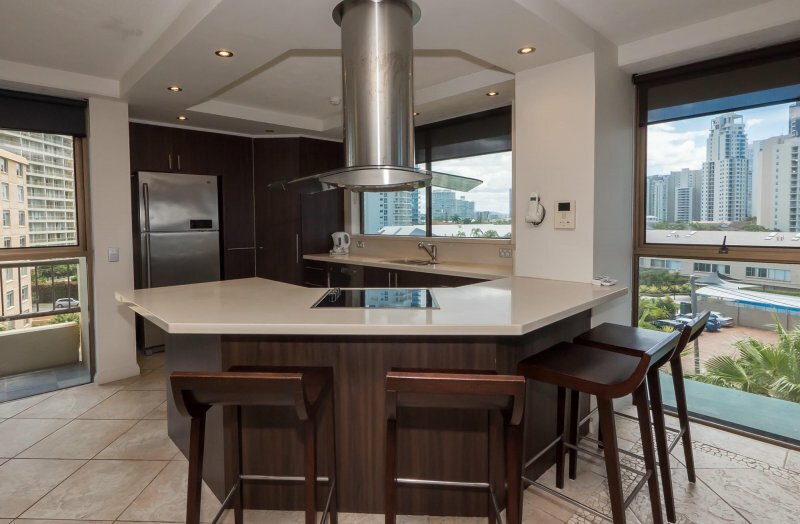 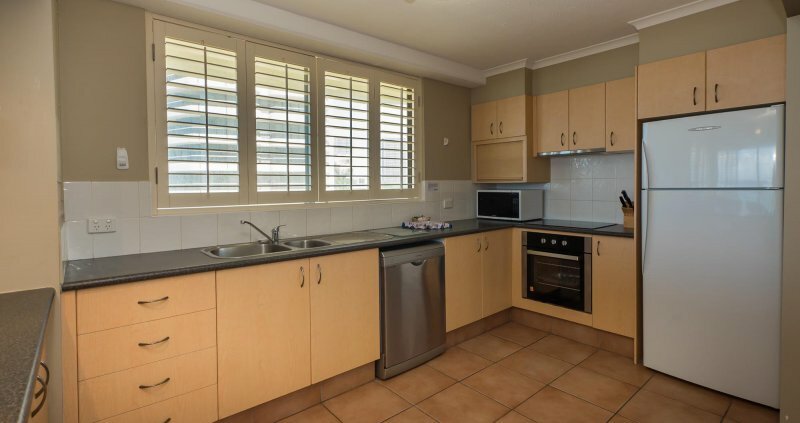 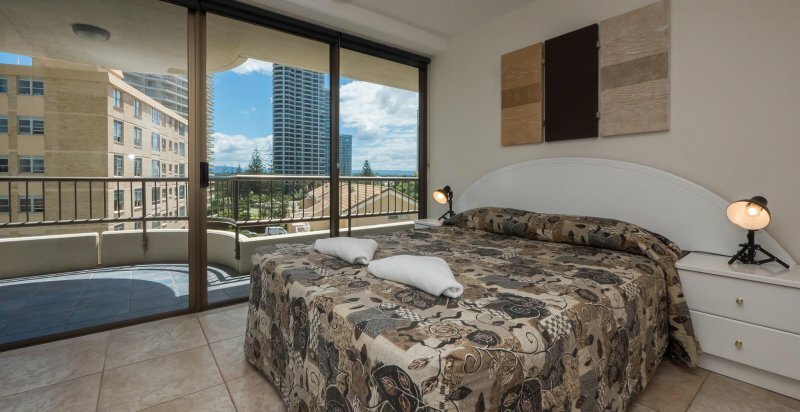 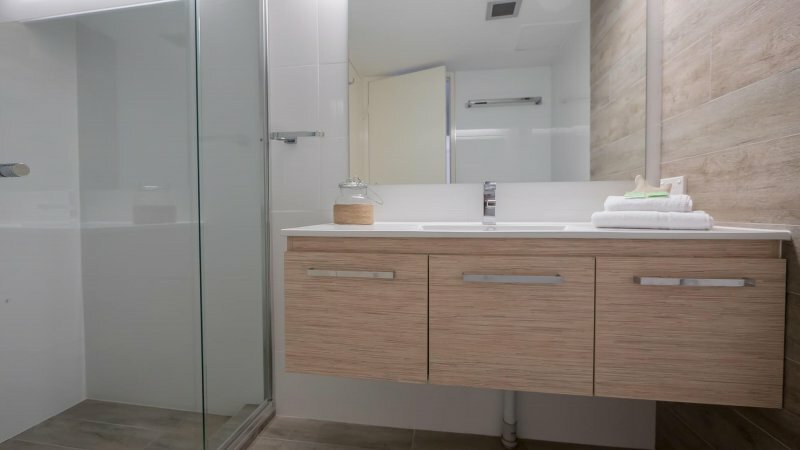 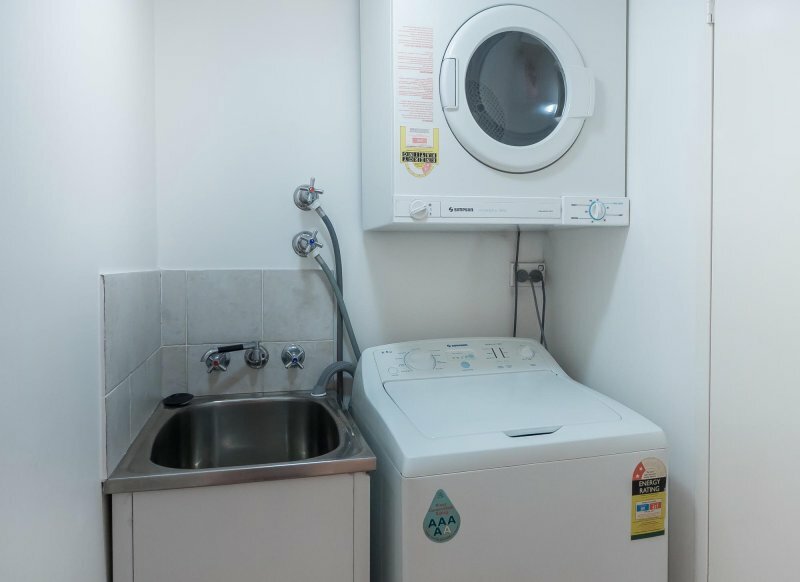 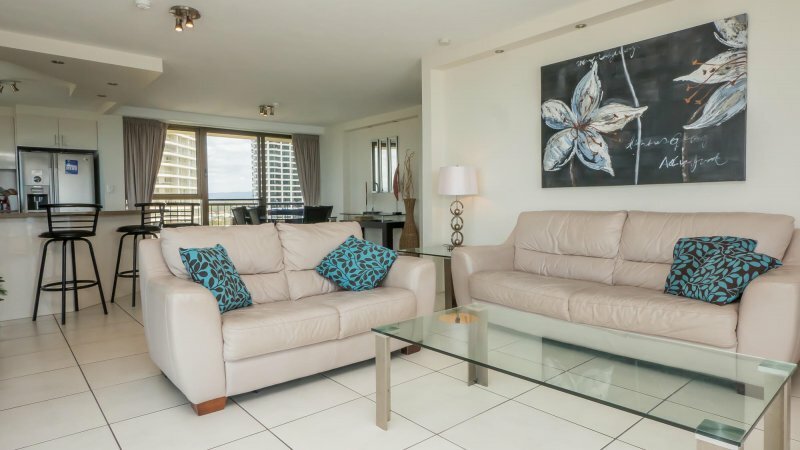 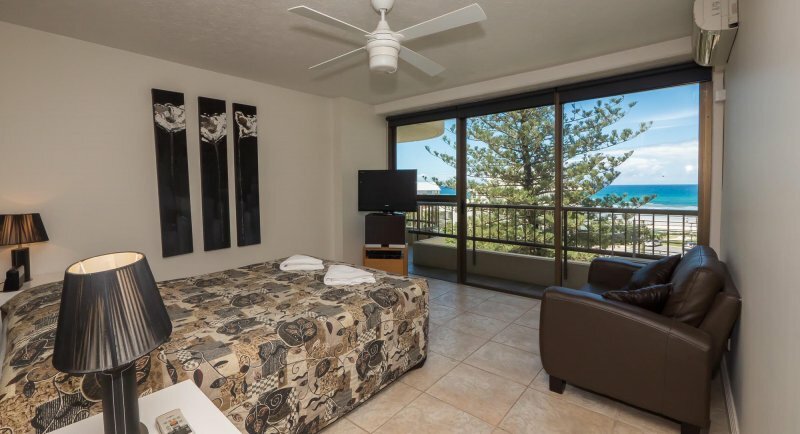 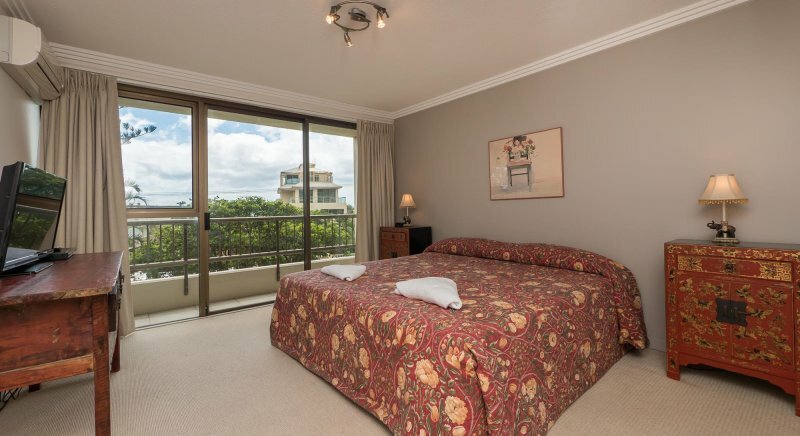 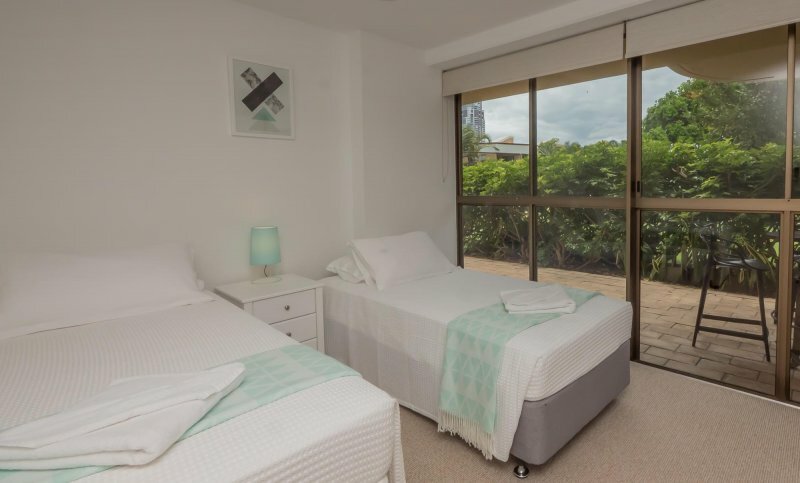 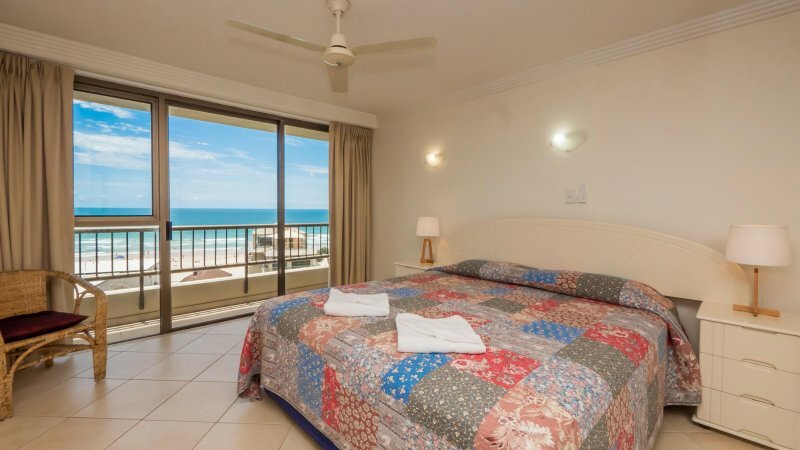 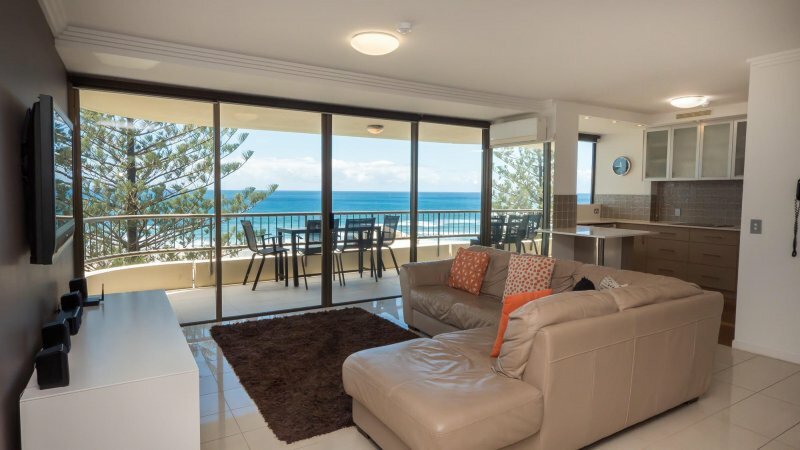 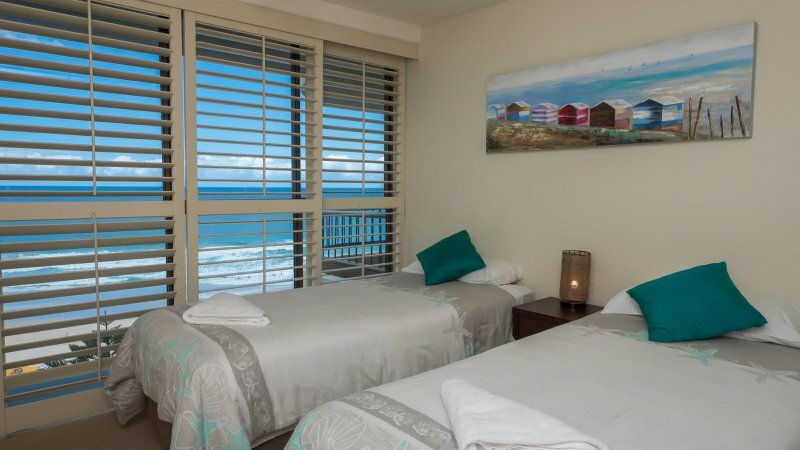 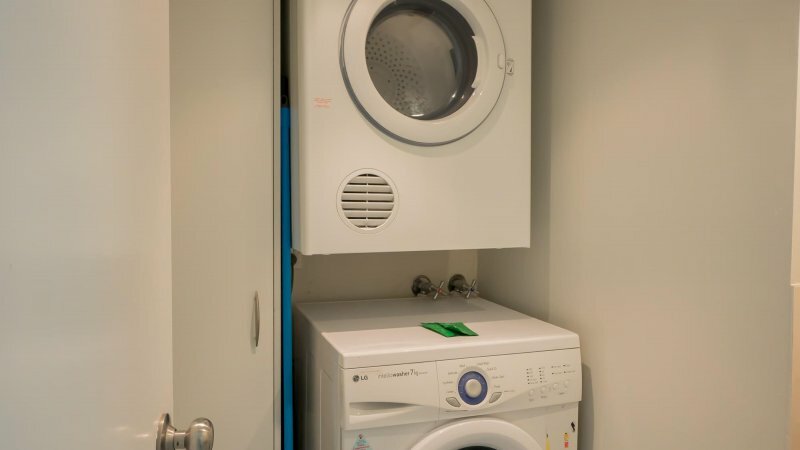 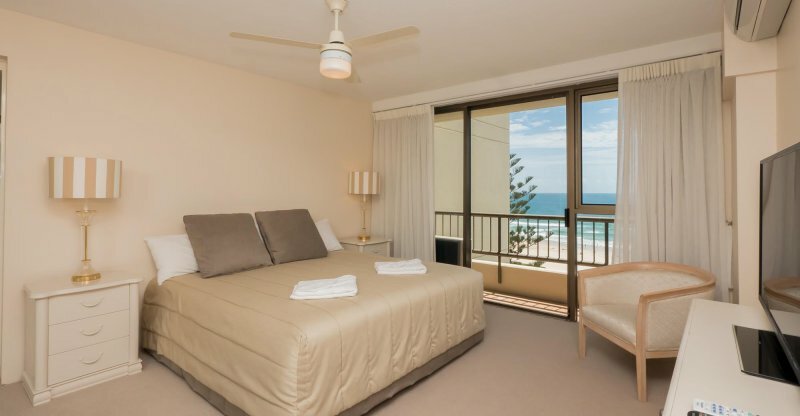 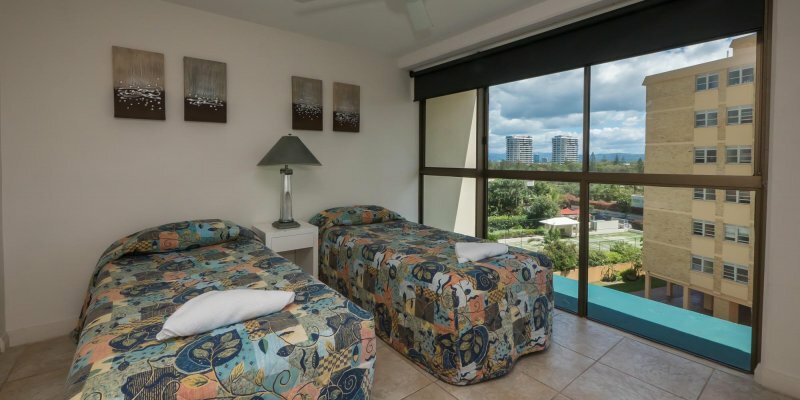 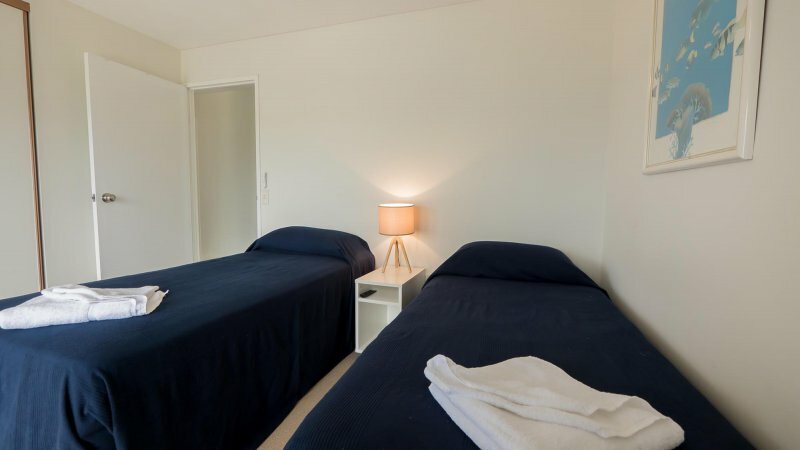 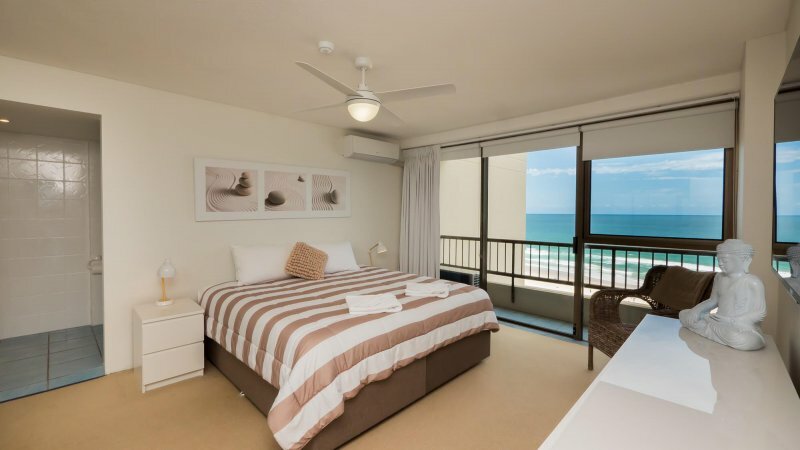 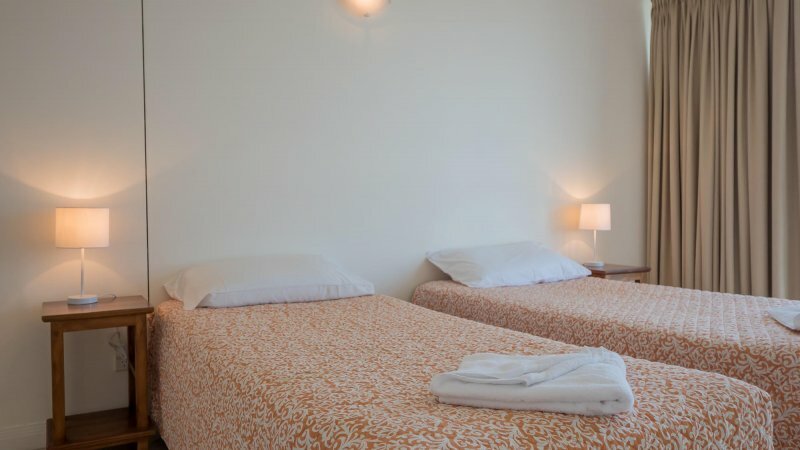 Stylish and spacious apartments with fully equipped kitchen (includes dishwasher), laundry facilities, comfortable living and dining area, two bathrooms, air conditioning, WiFi and spacious private balconies with stunning ocean views. 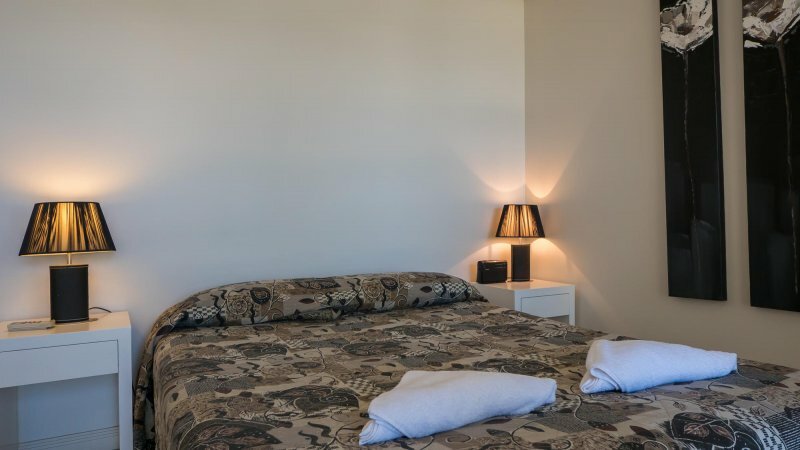 Various bedding configurations exist, from Kings to King Singles. 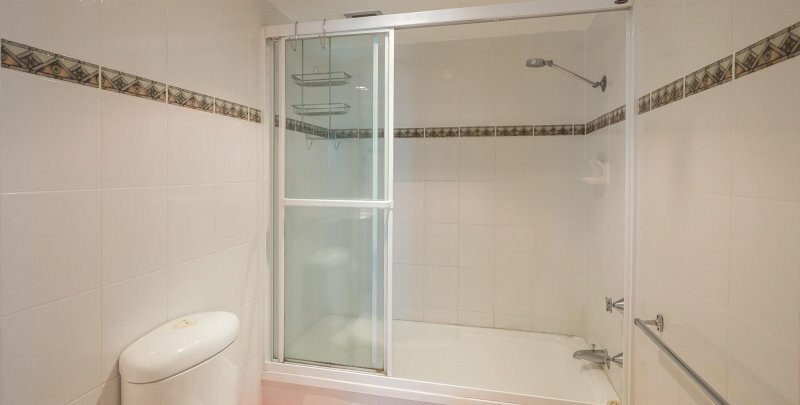 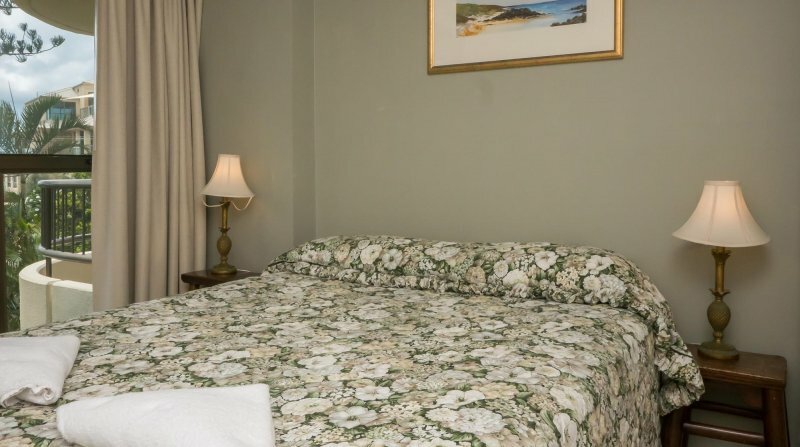 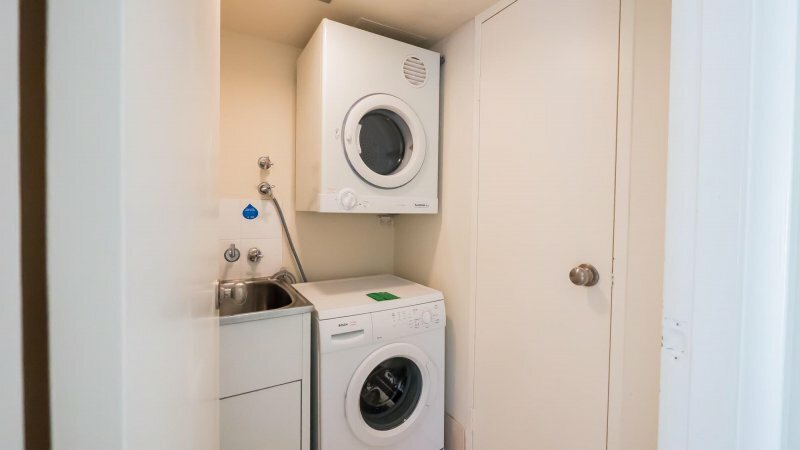 Please be sure to specify your bedding requirement upon booking.